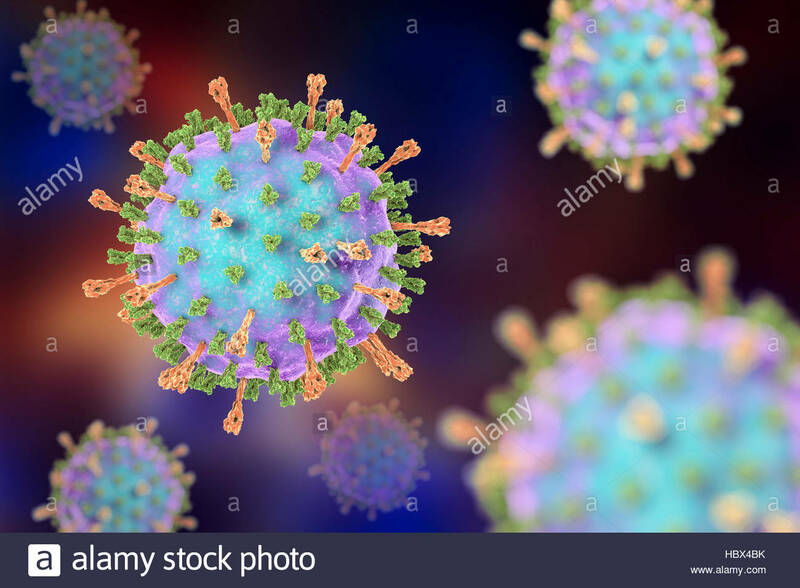 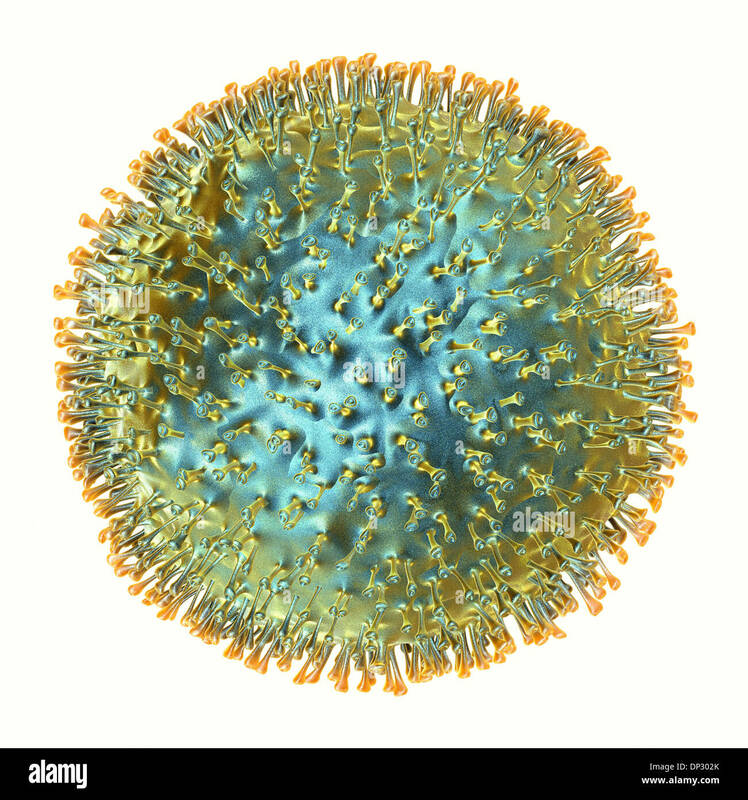 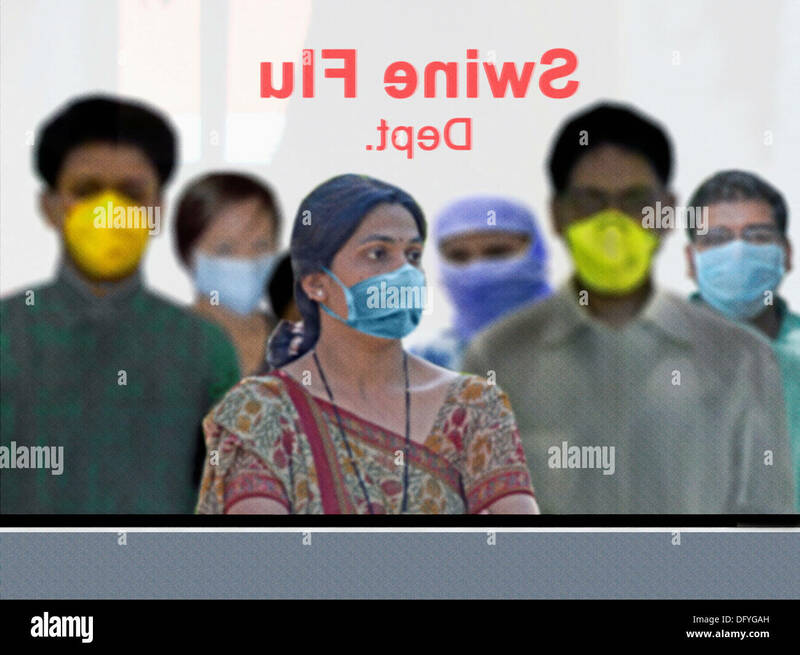 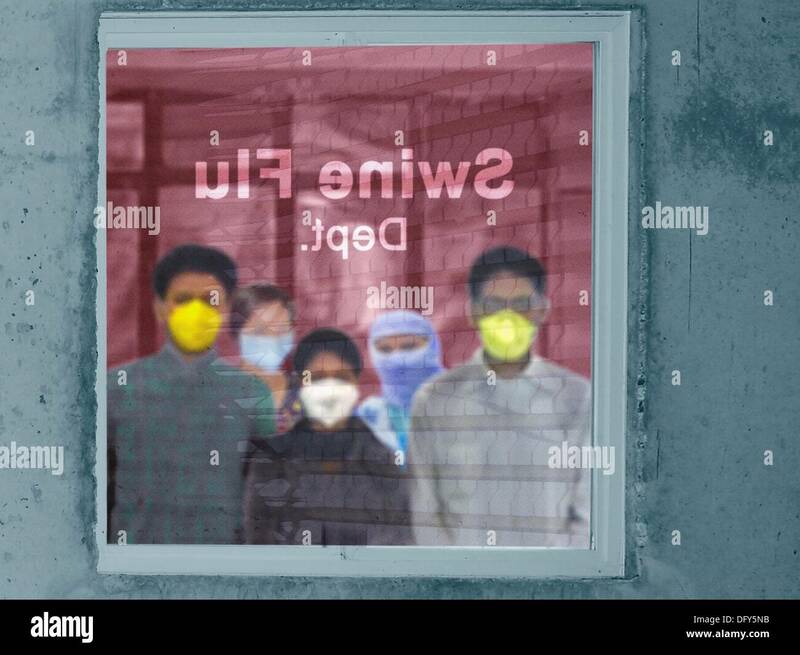 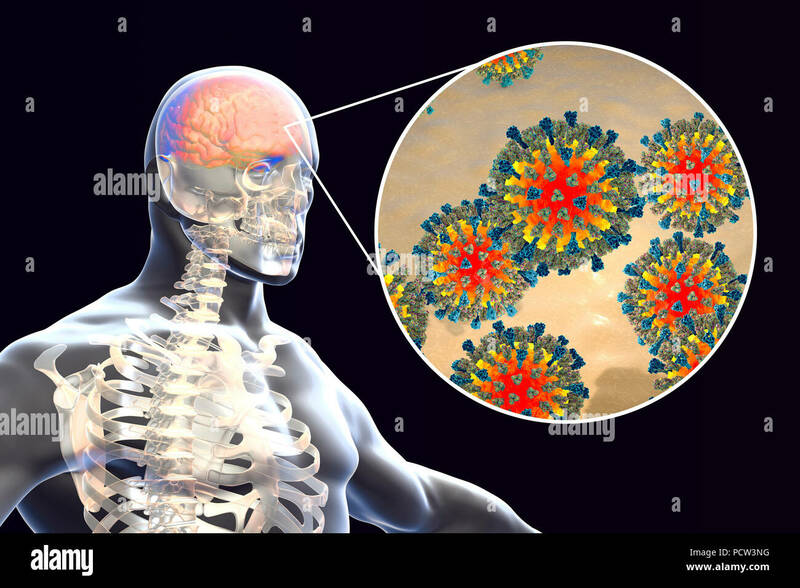 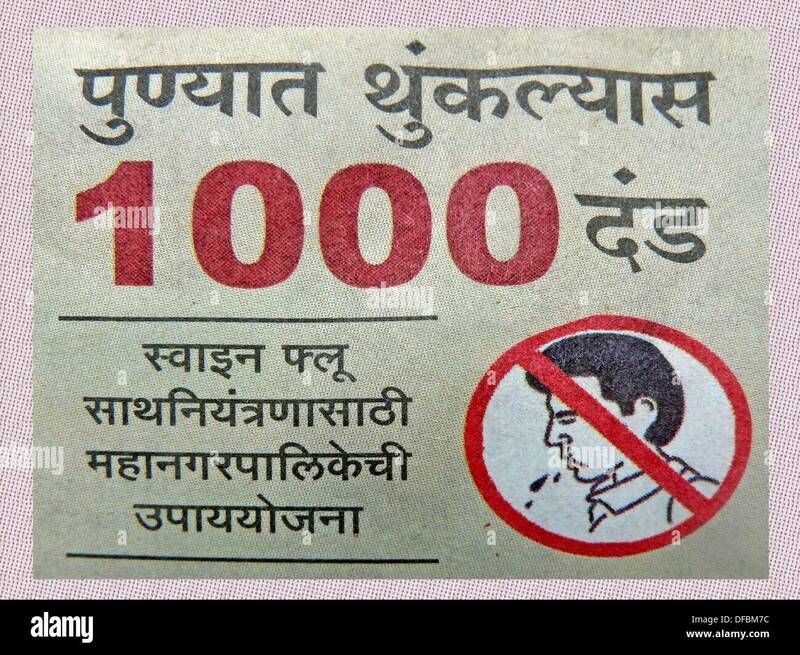 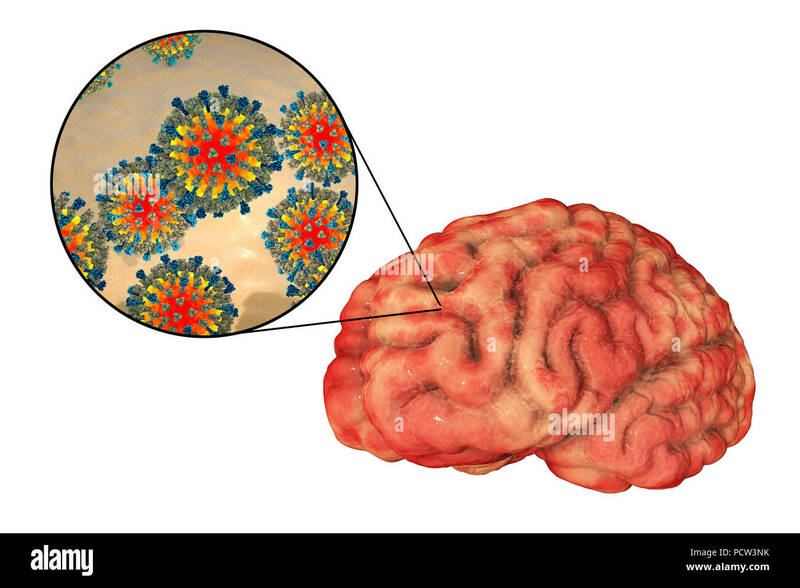 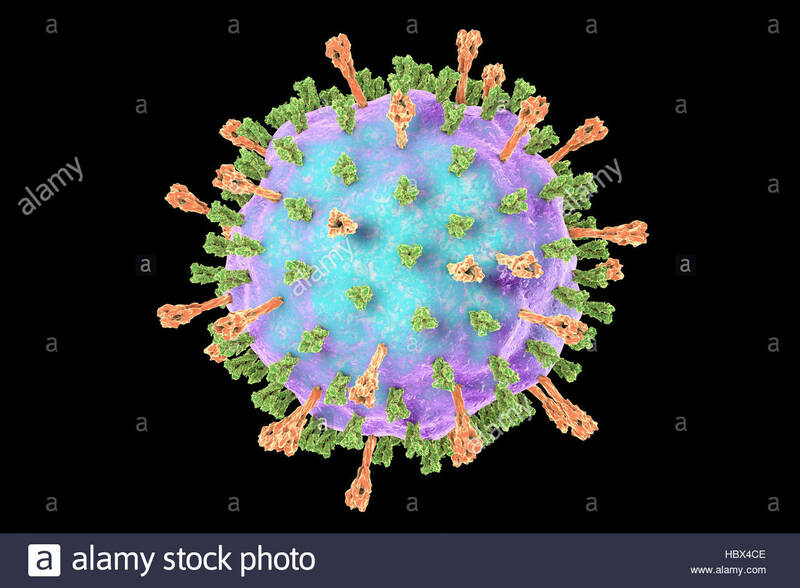 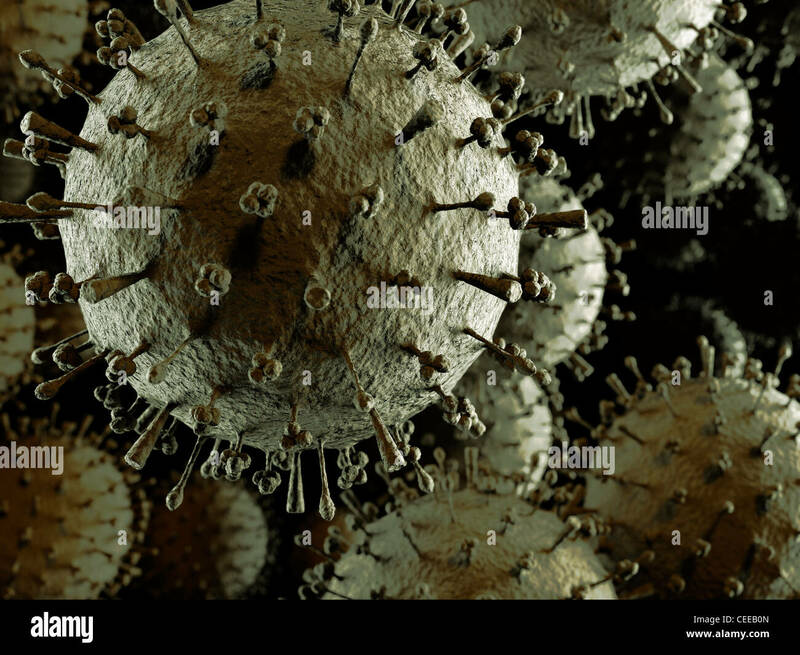 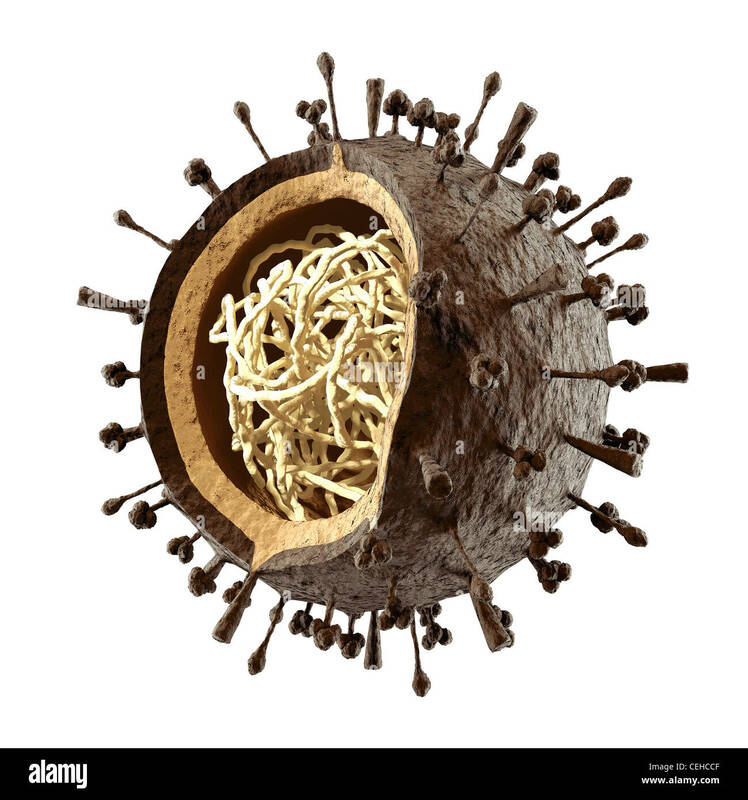 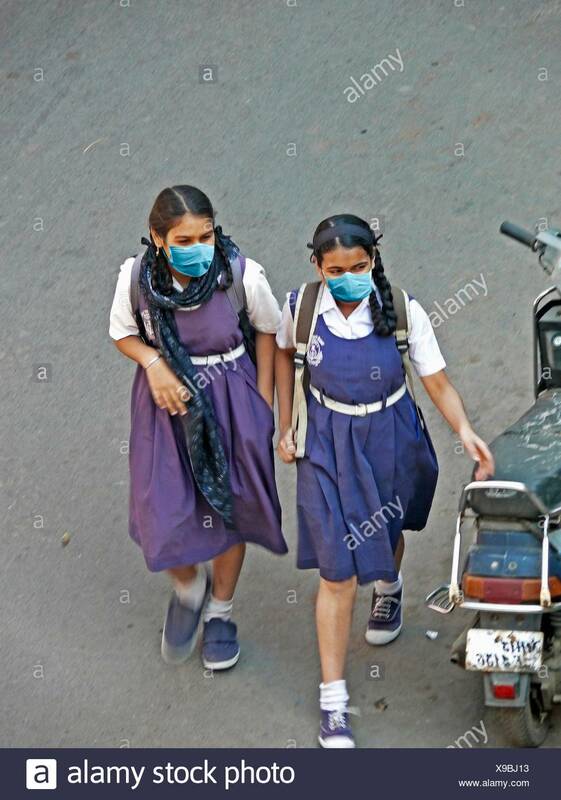 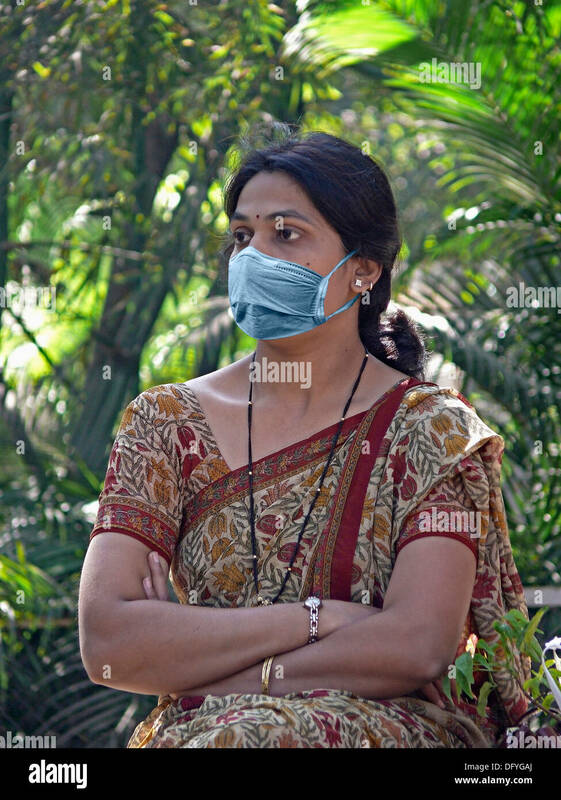 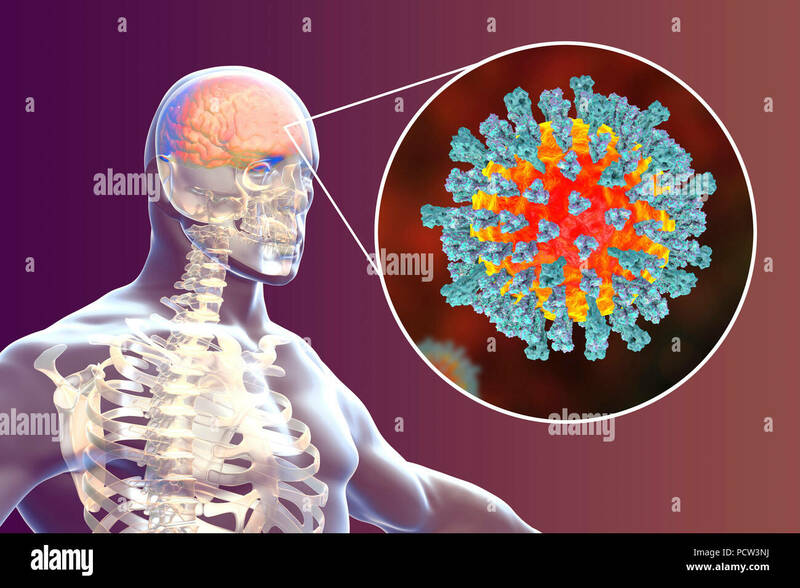 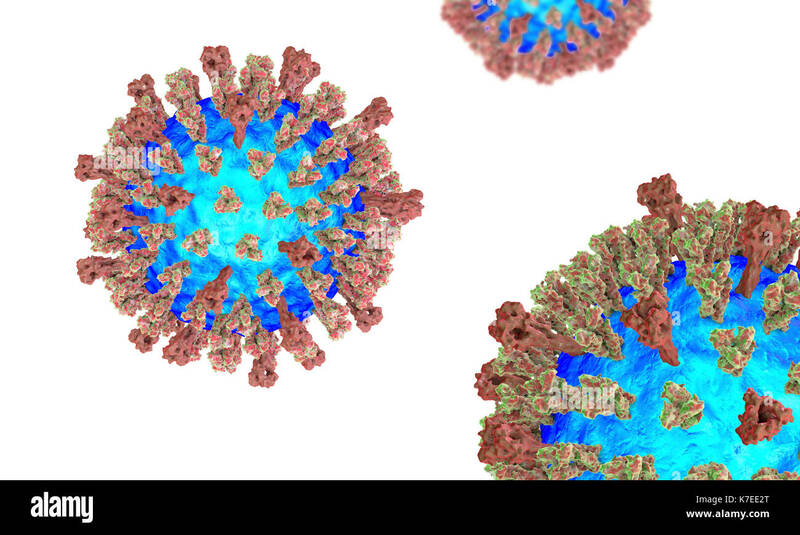 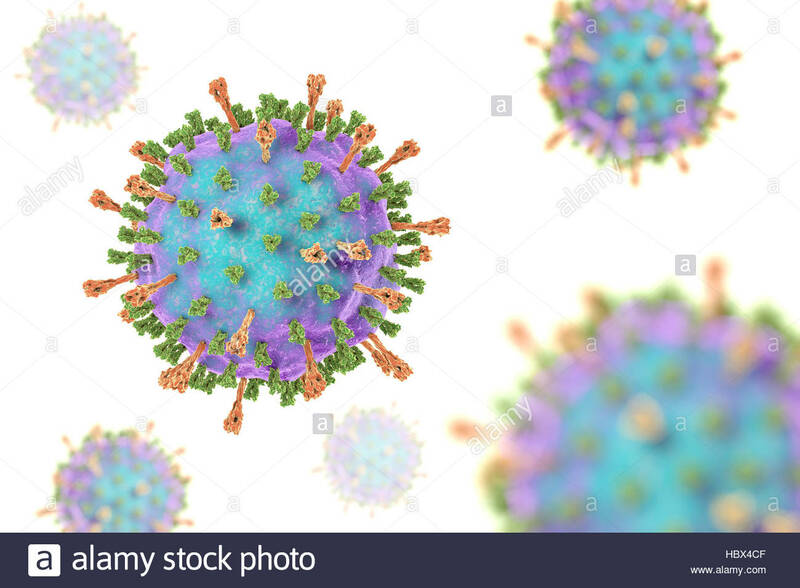 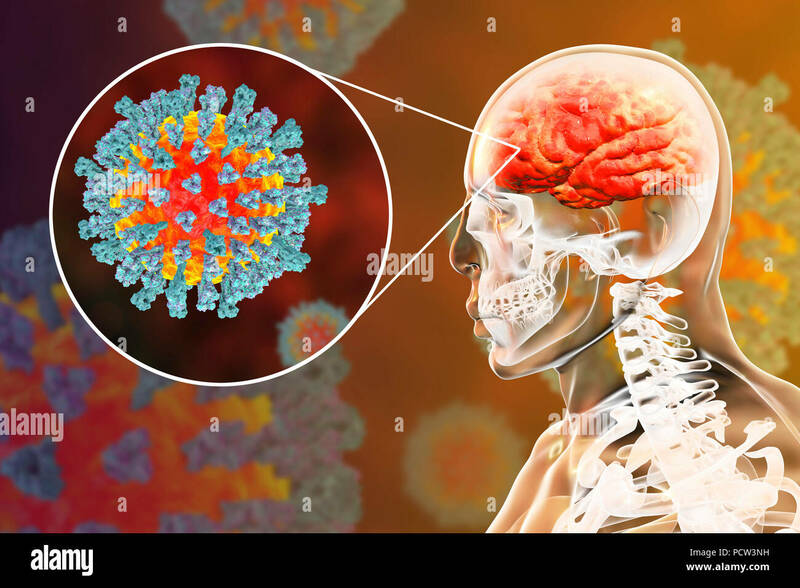 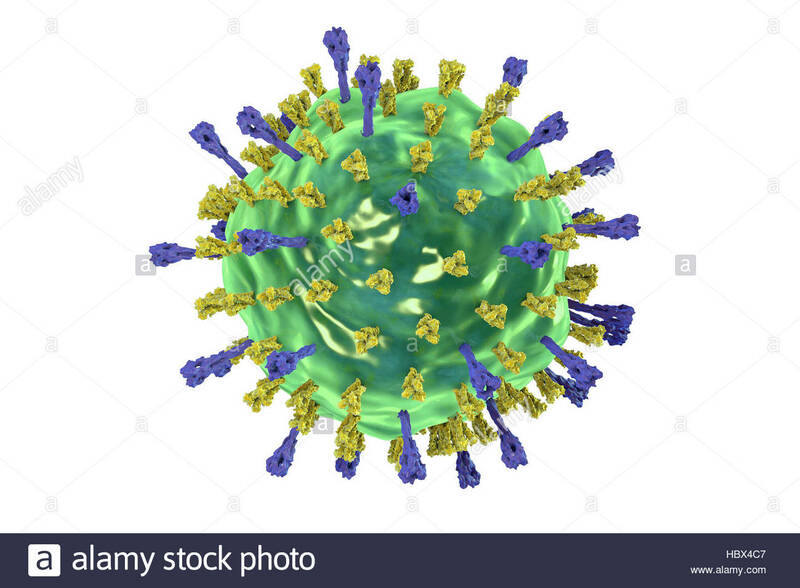 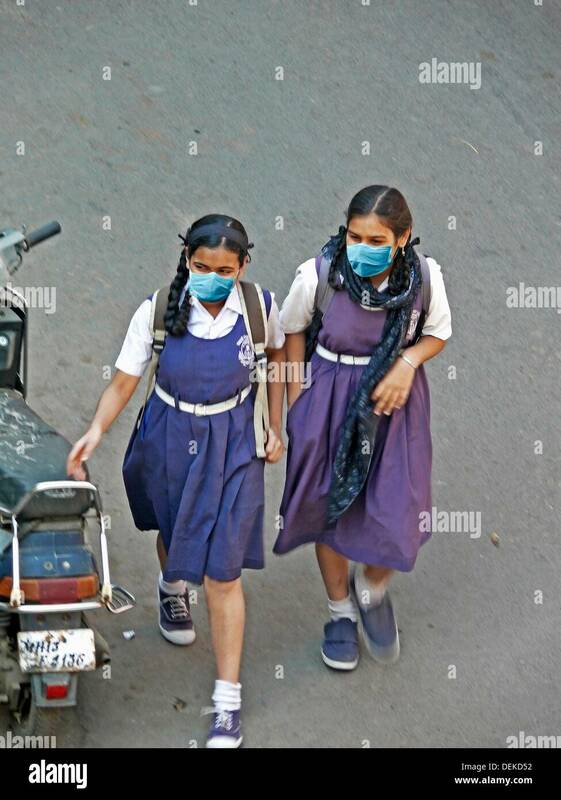 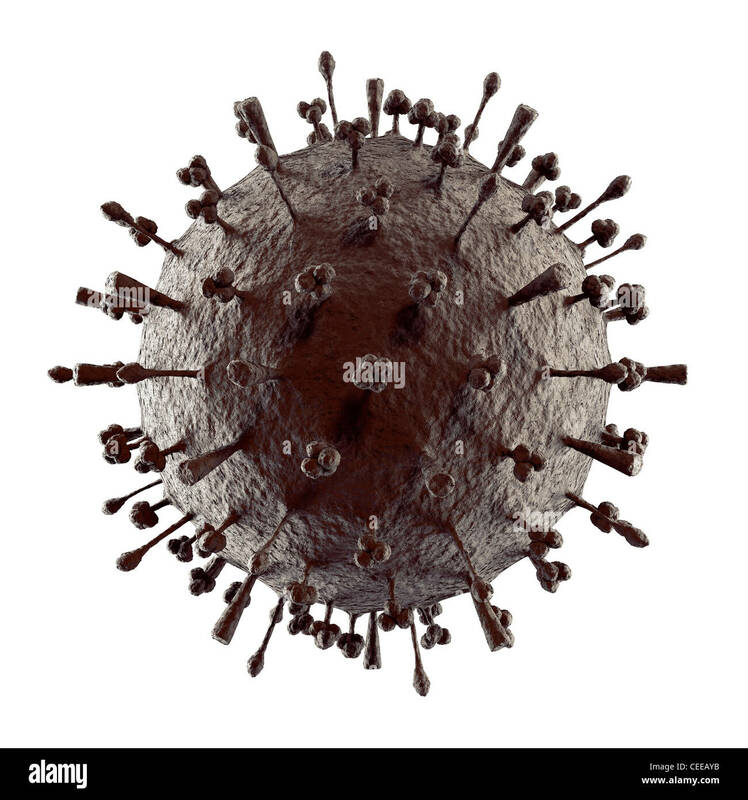 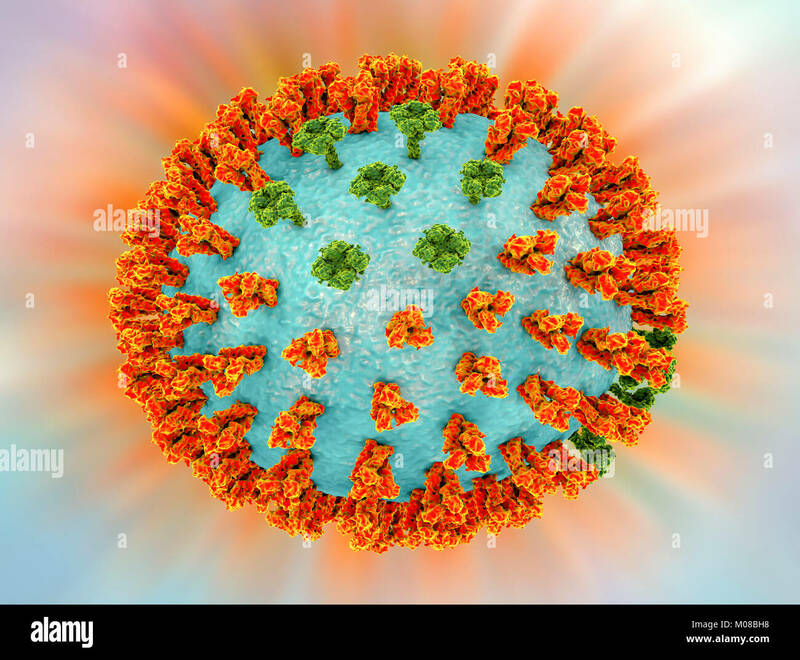 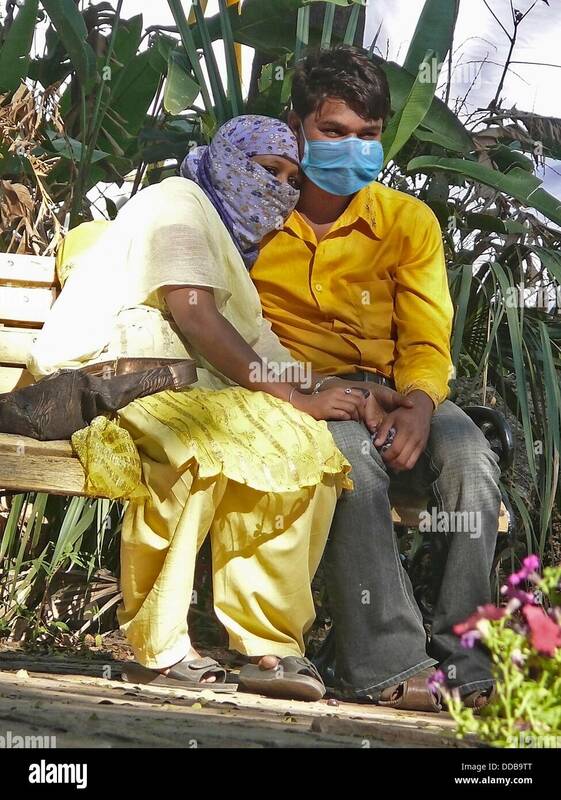 Flu viruses. 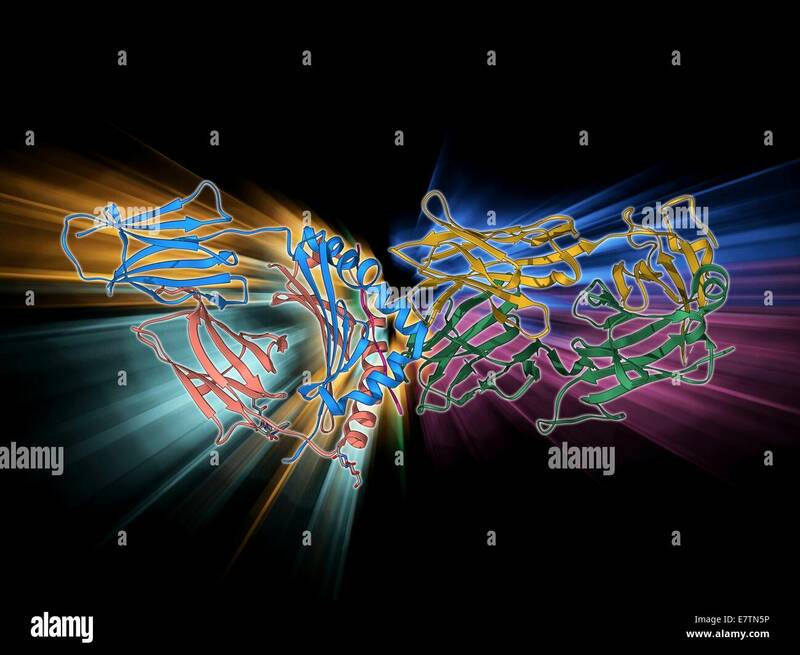 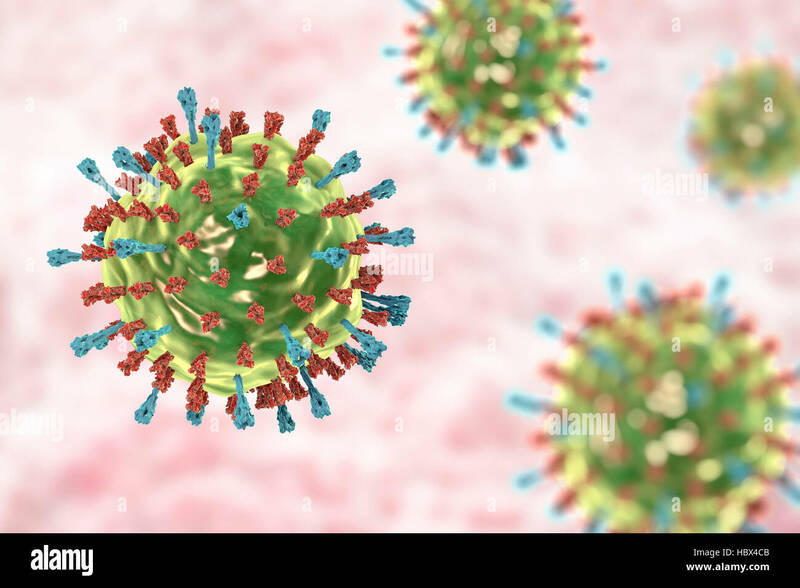 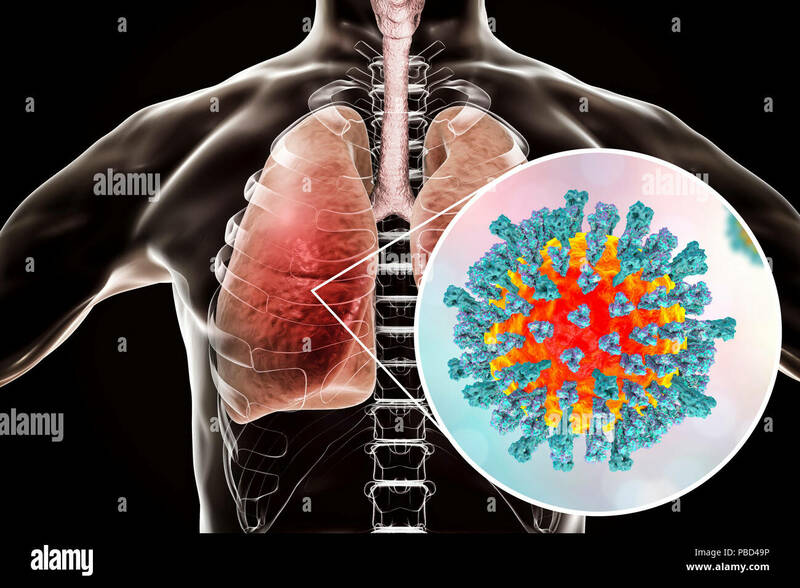 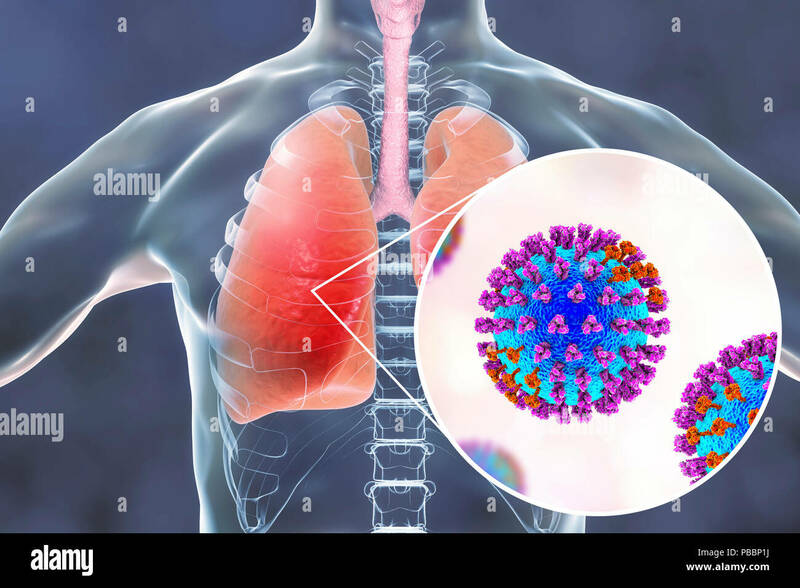 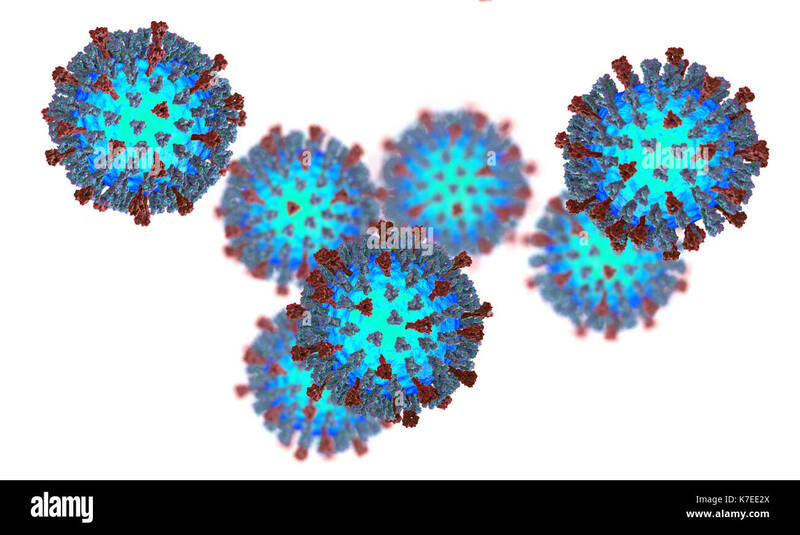 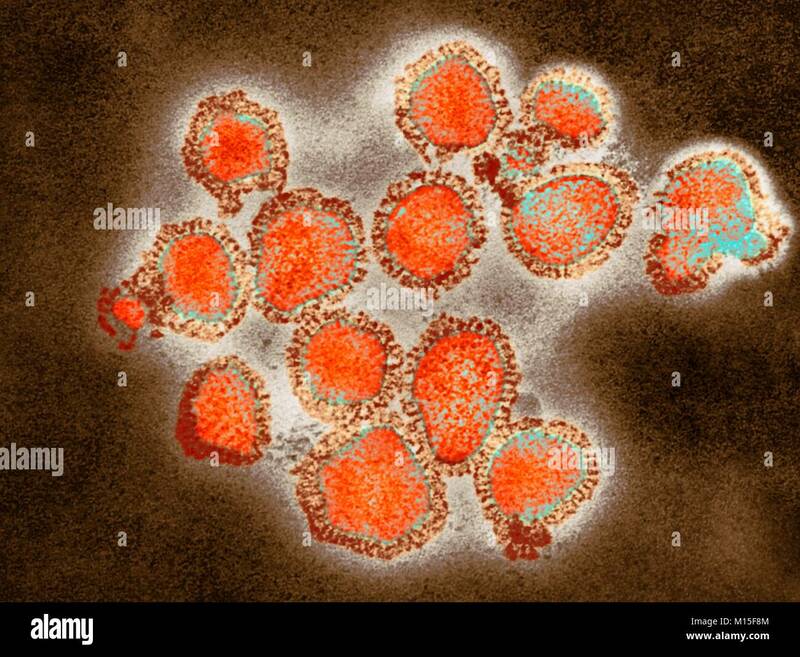 Conceptual image of influenza viruses (red) in the airways. The virus particles are not at the same scale as the lung cilia (brown). 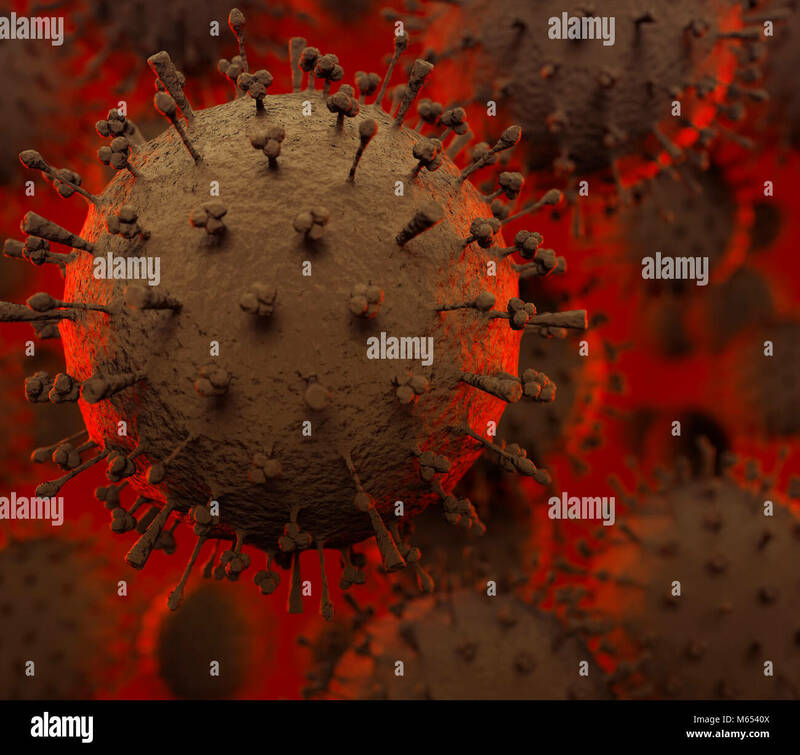 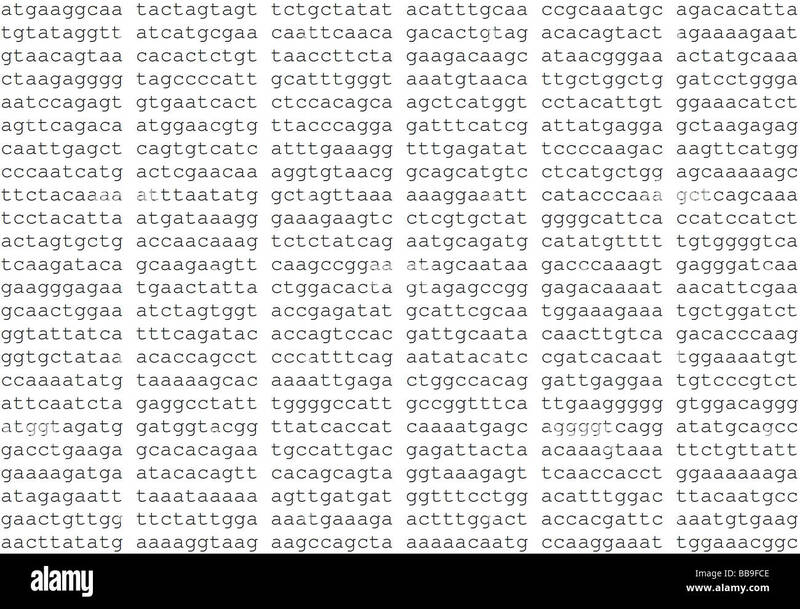 Each virus consists of a core of RNA (ribonucleic acid) genetic material surrounded by a protein coat (red). 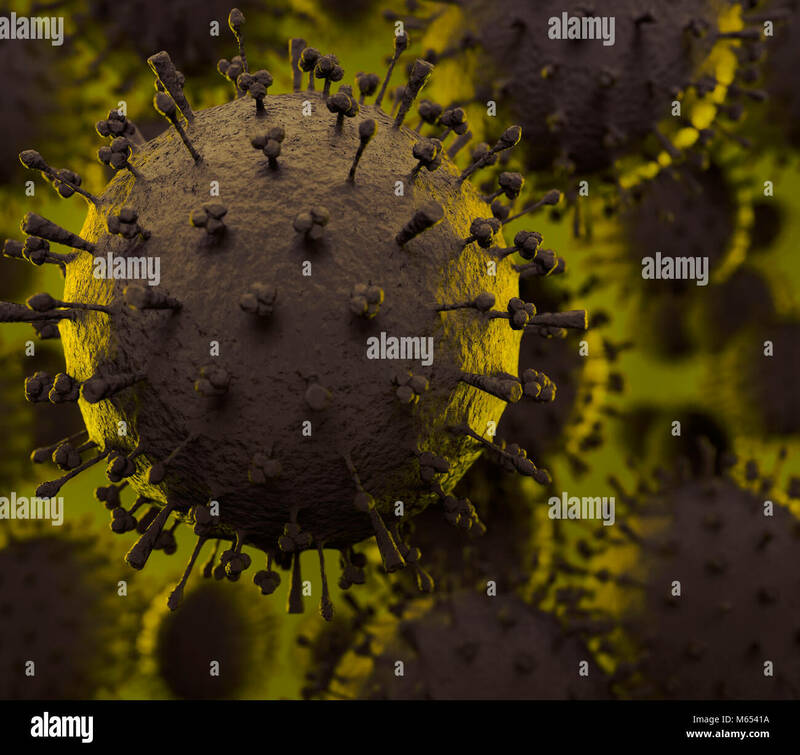 Embedded in the coat are surface proteins (spikes). 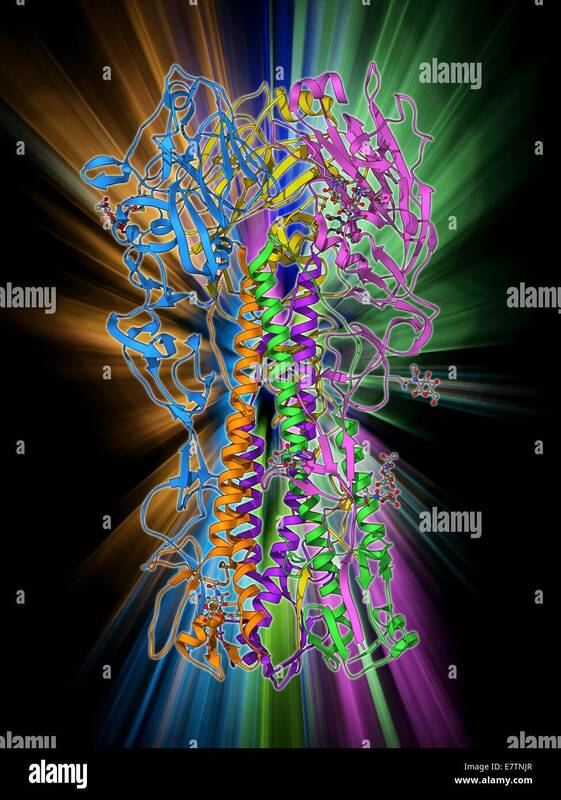 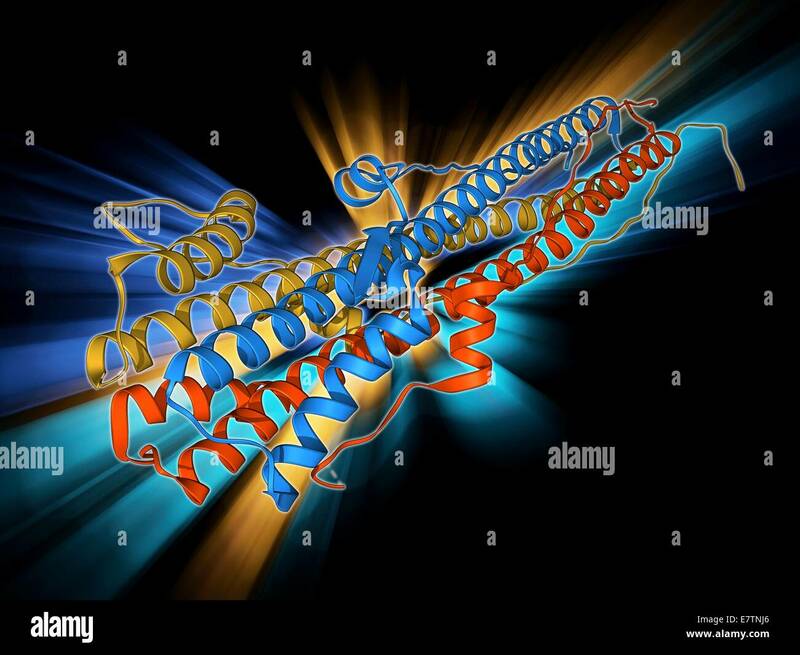 There are two types of surface protein, haemagglutinin (blue) and neuraminidase (light purple), and each exists in several subtypes. 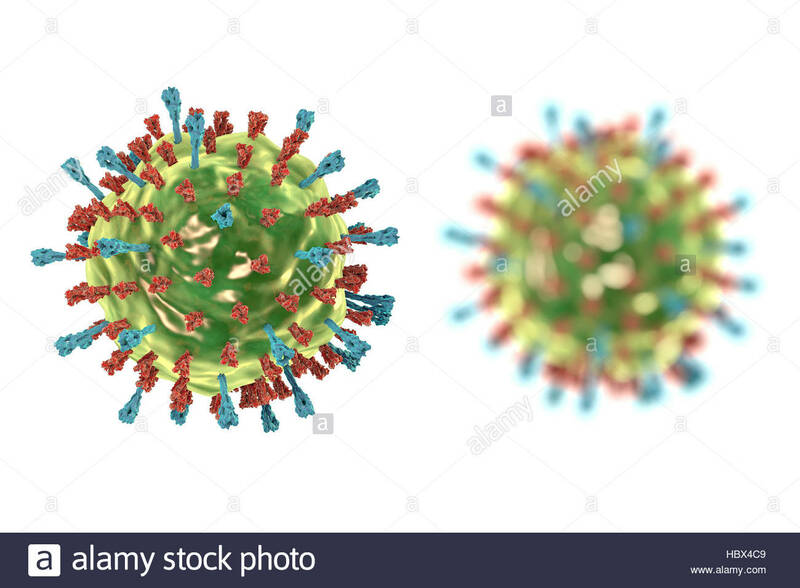 Both surface proteins are associated with the pathogenicity of a virus. 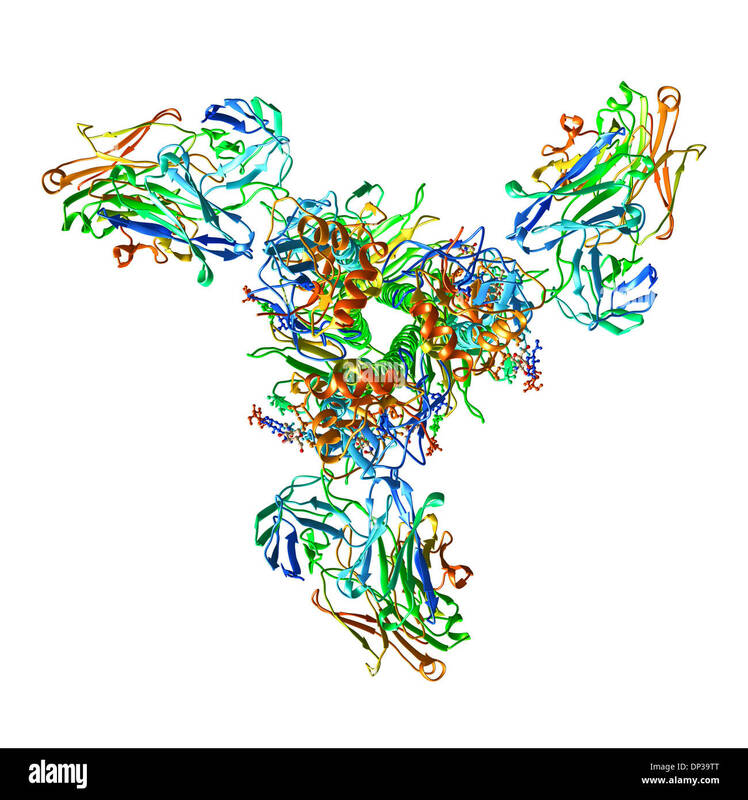 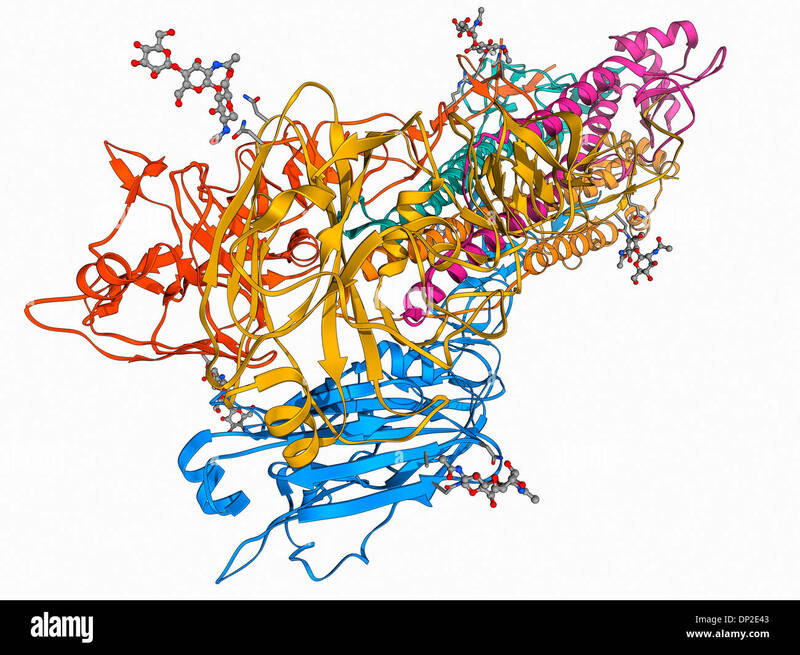 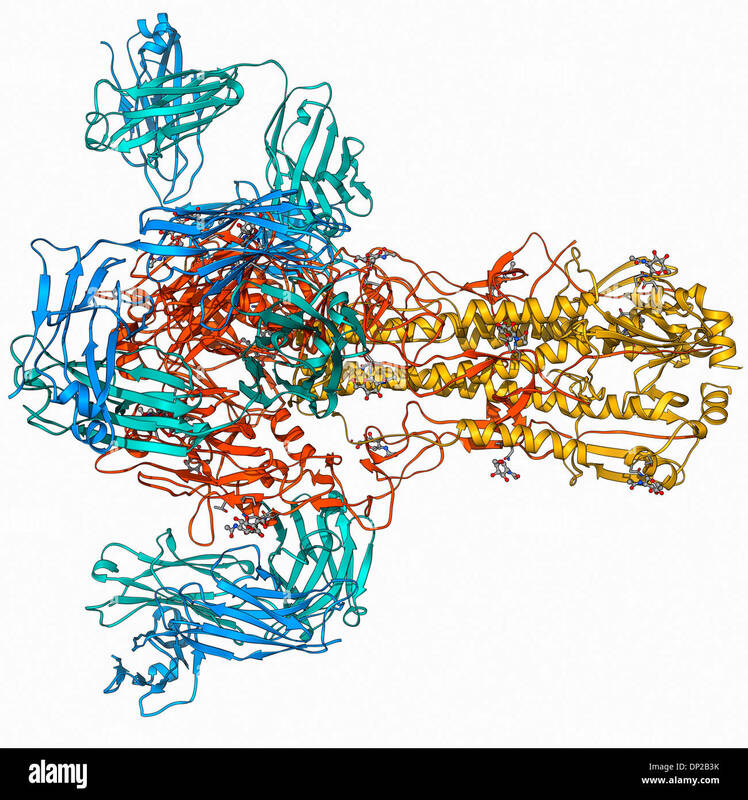 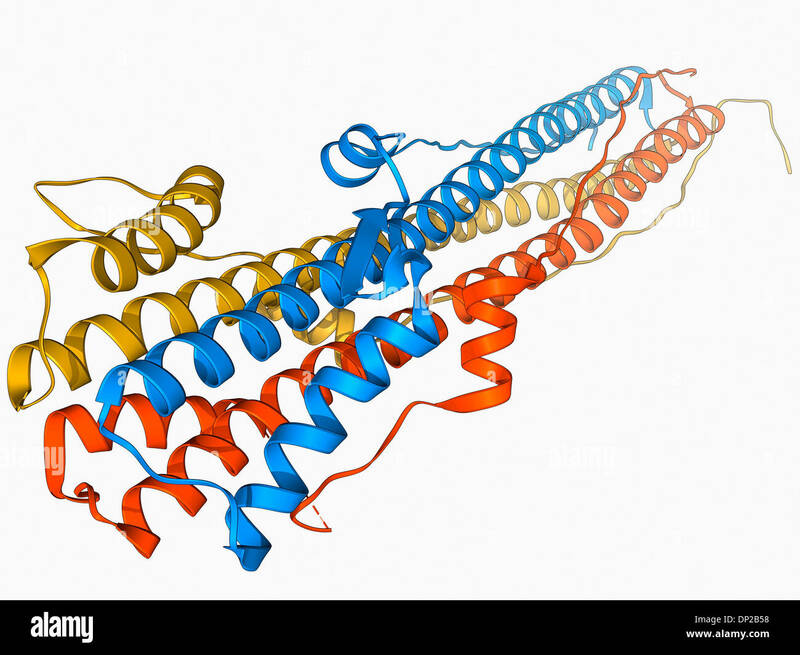 Haemagglutinin binds to host cells, allowing the virus to enter them and replicate. 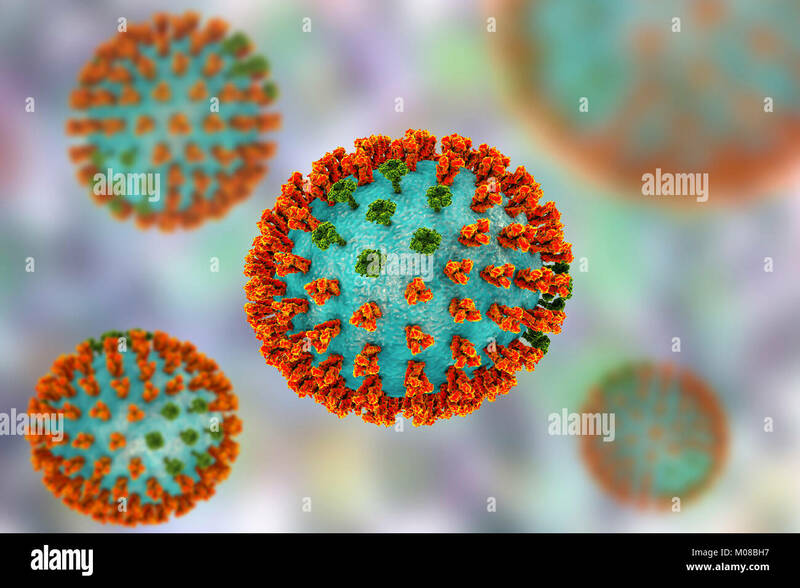 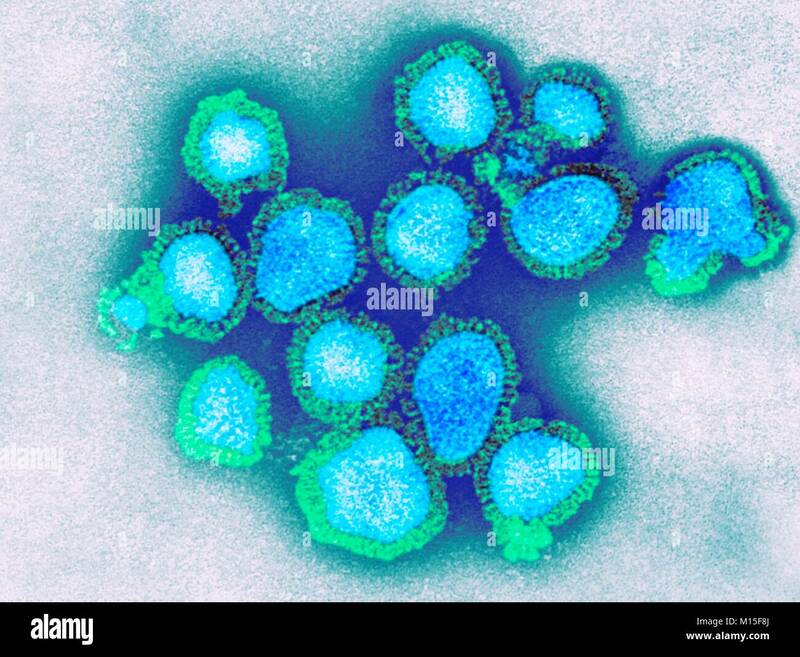 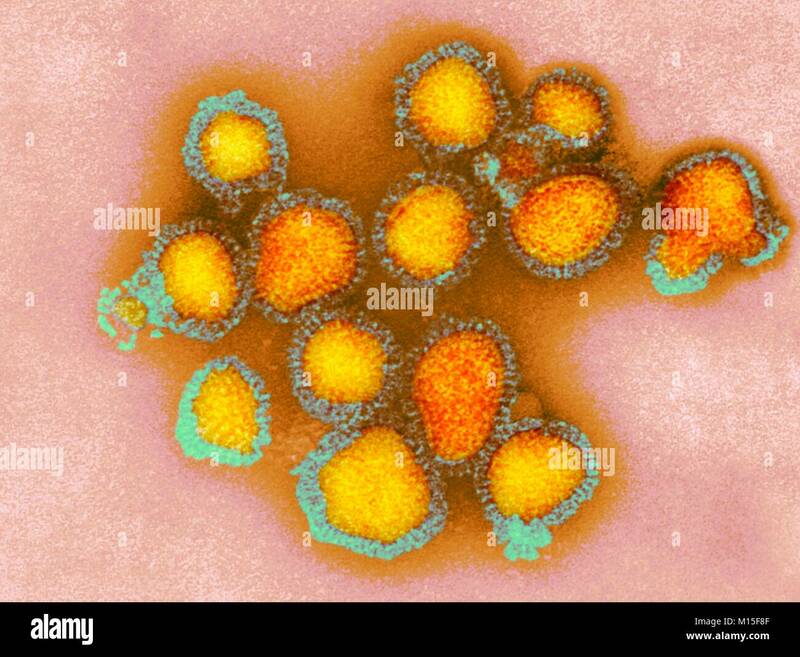 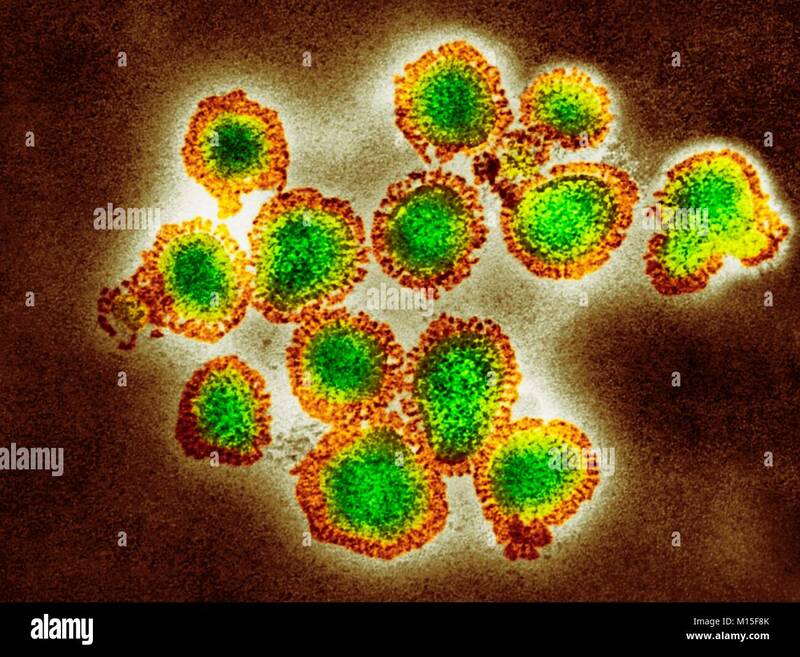 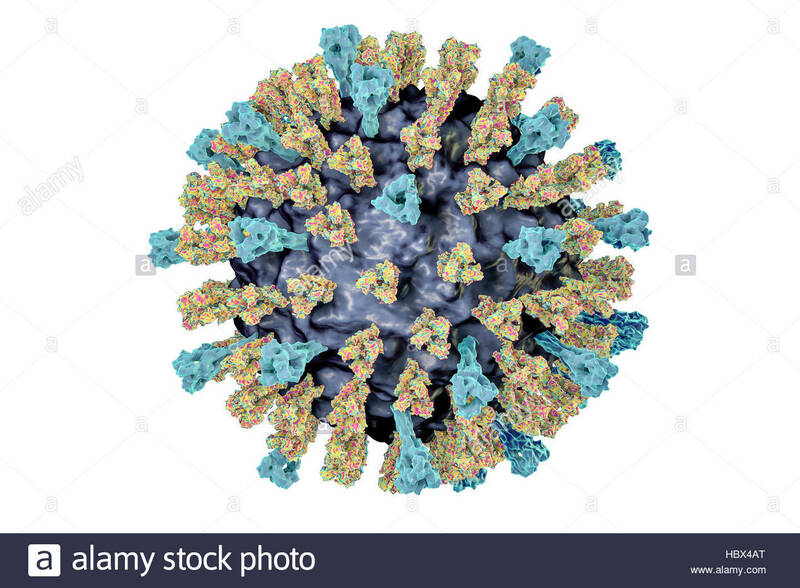 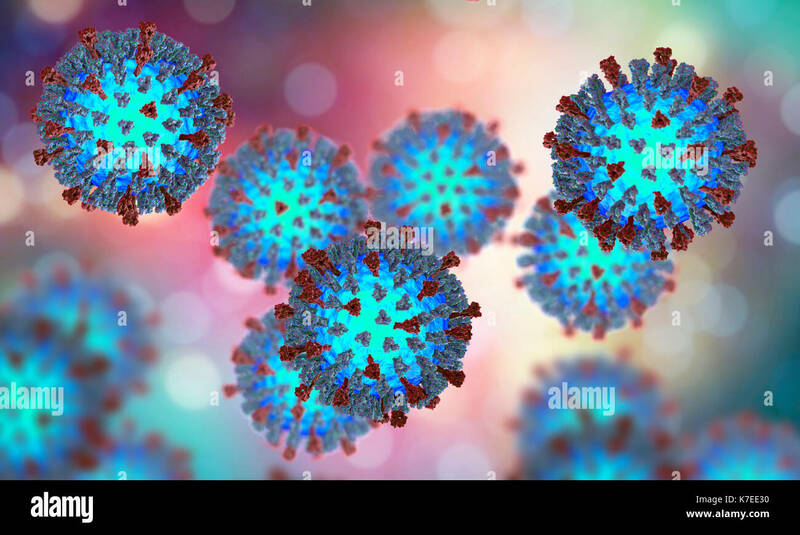 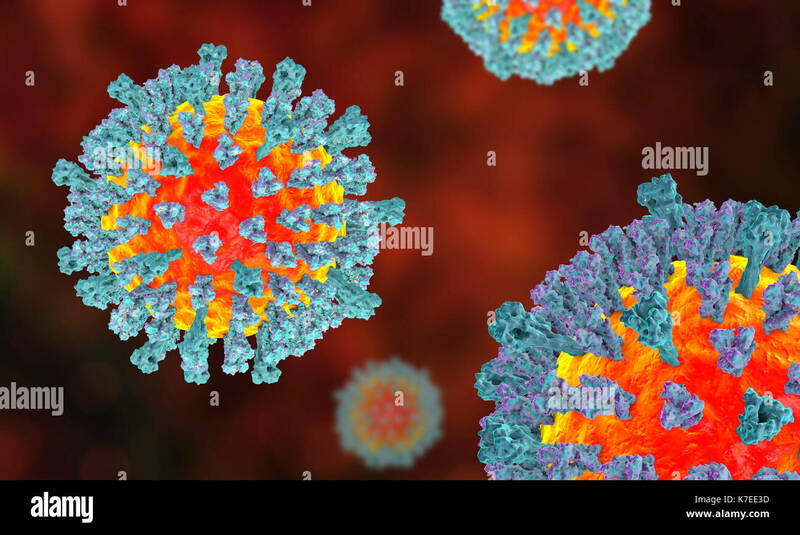 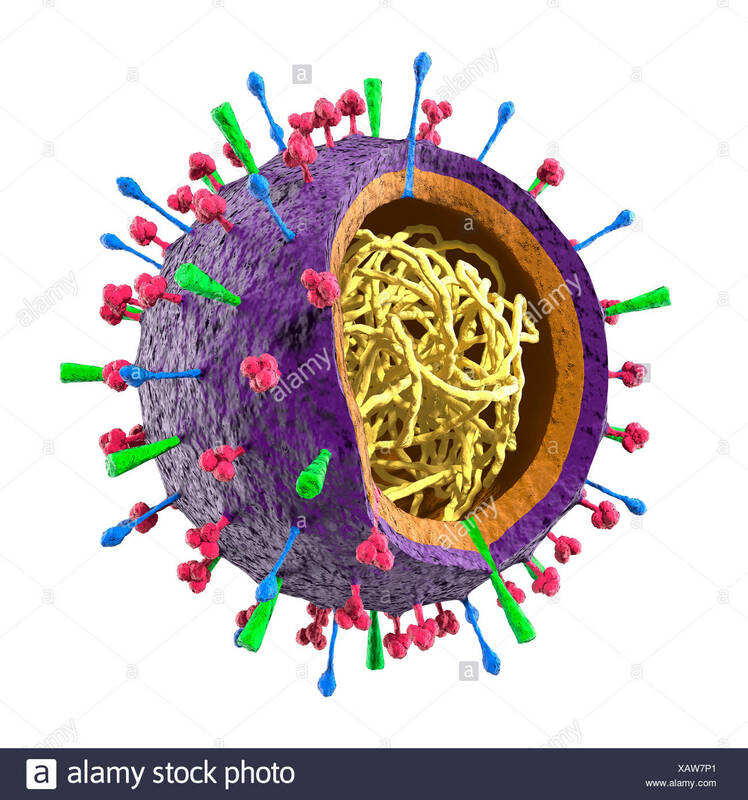 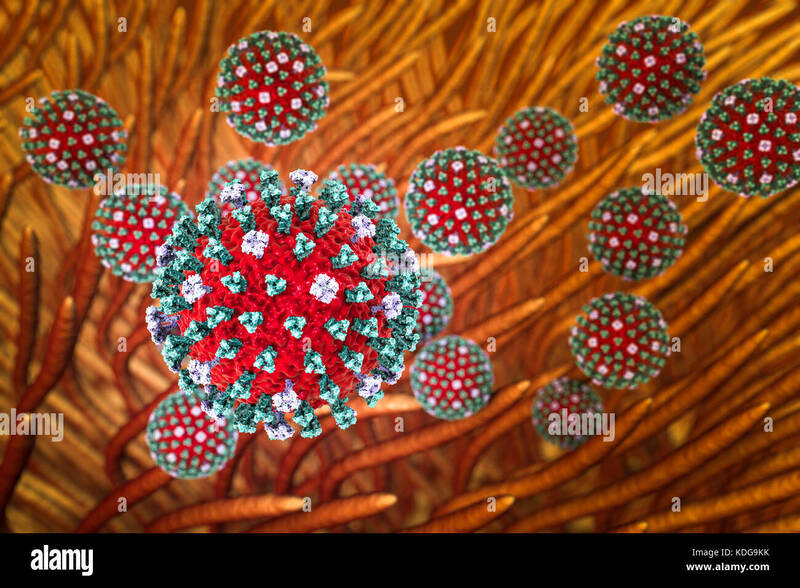 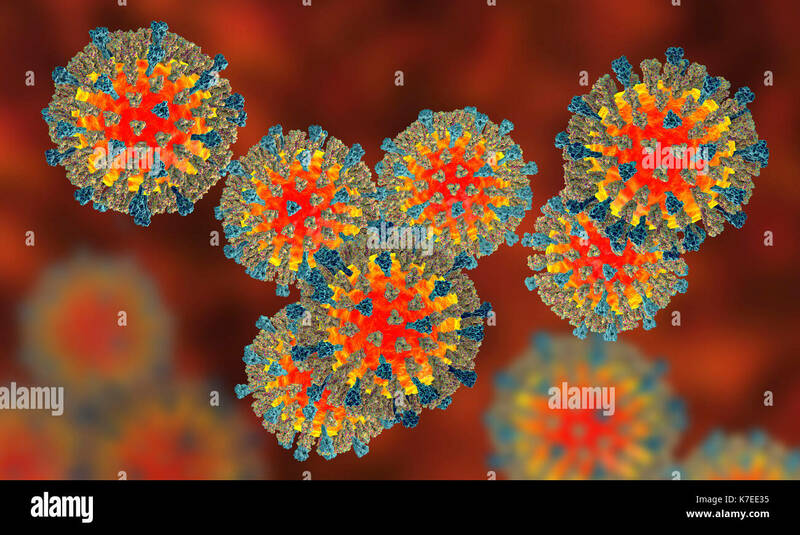 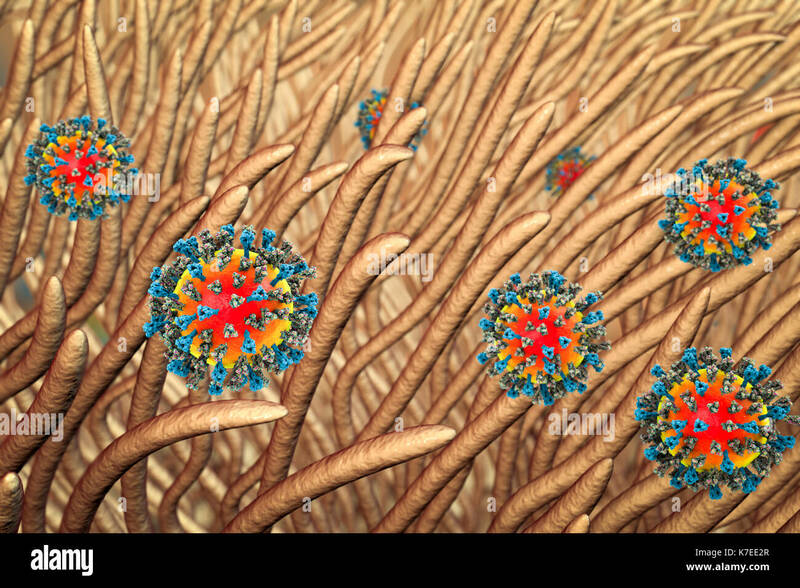 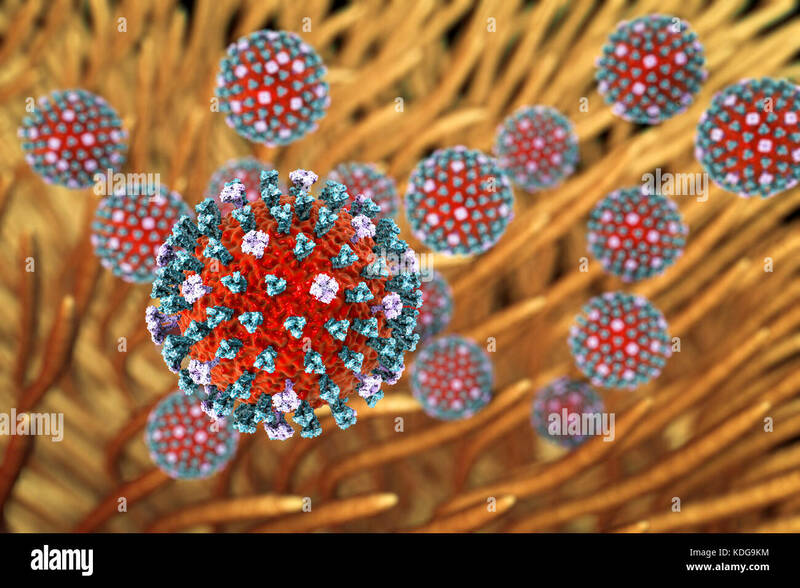 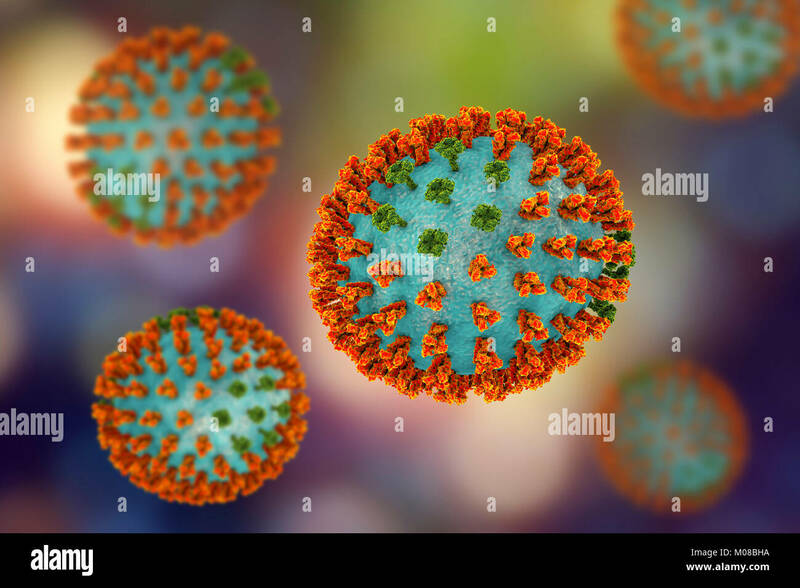 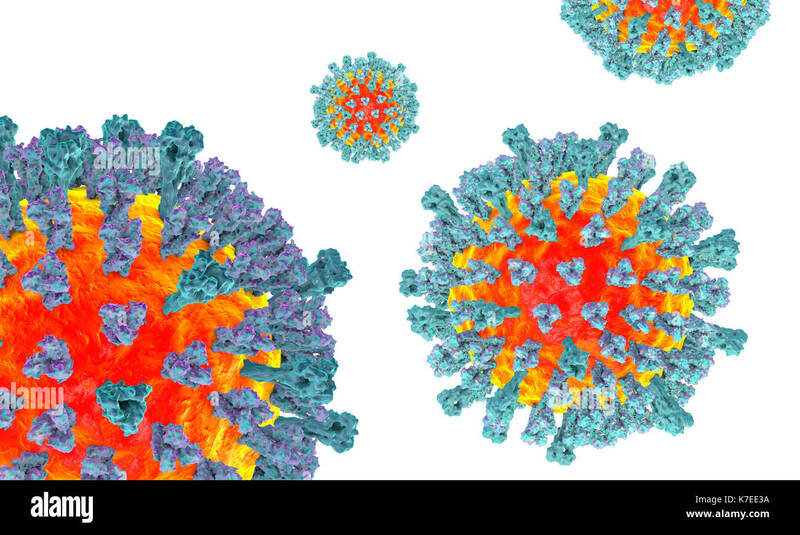 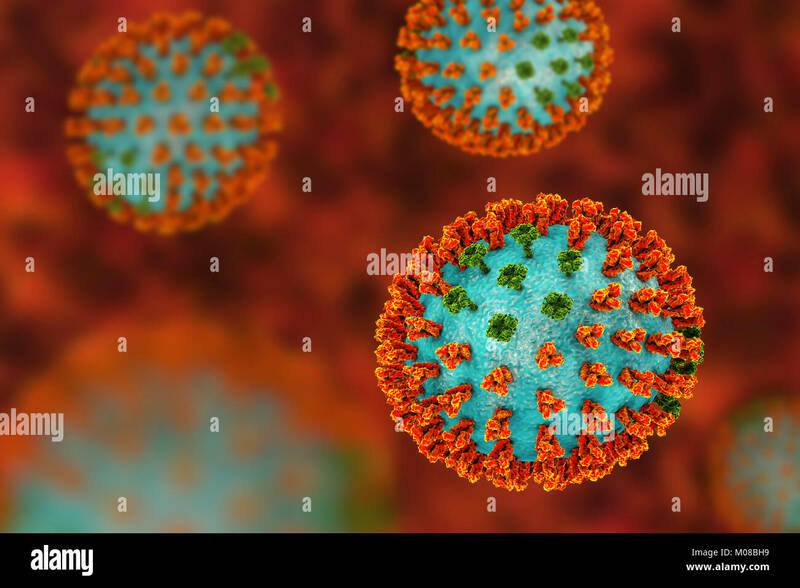 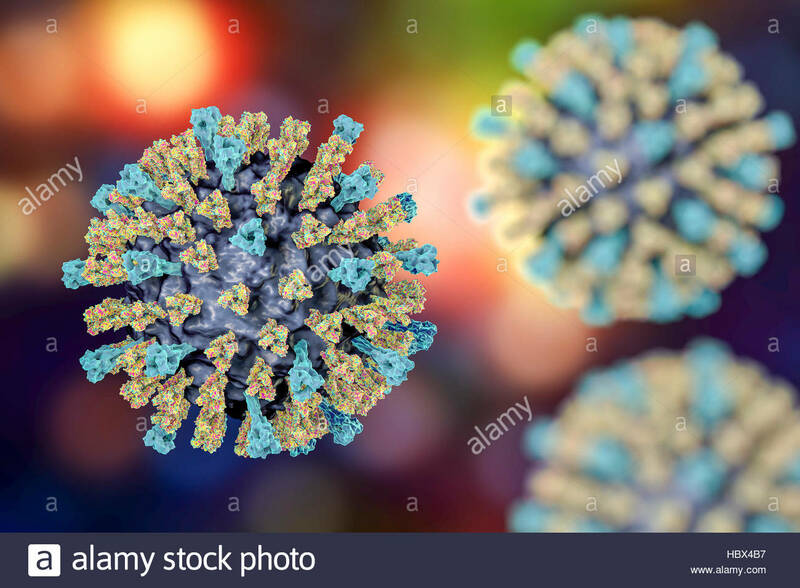 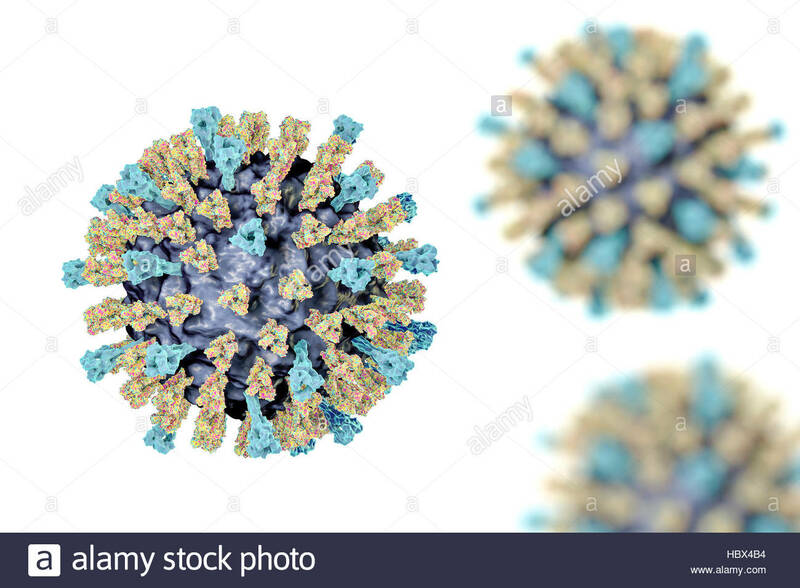 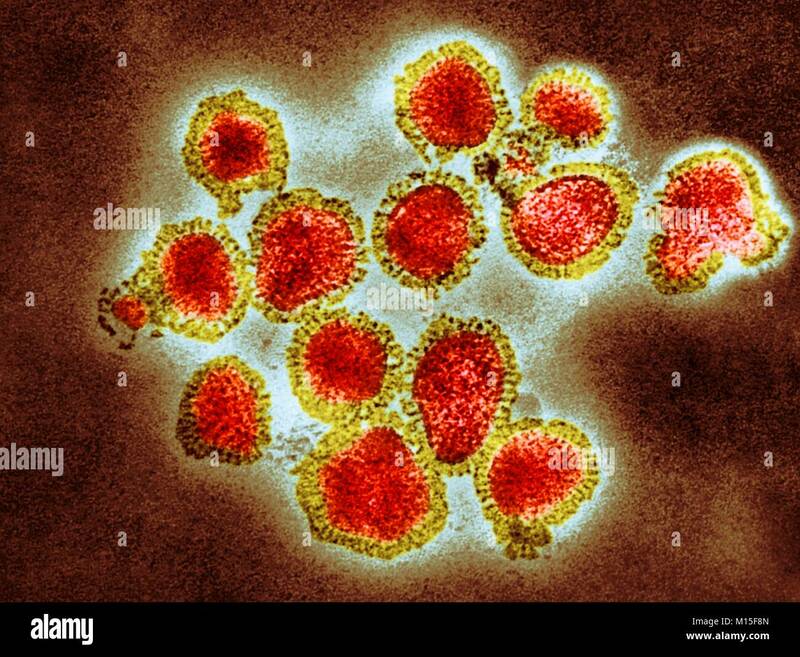 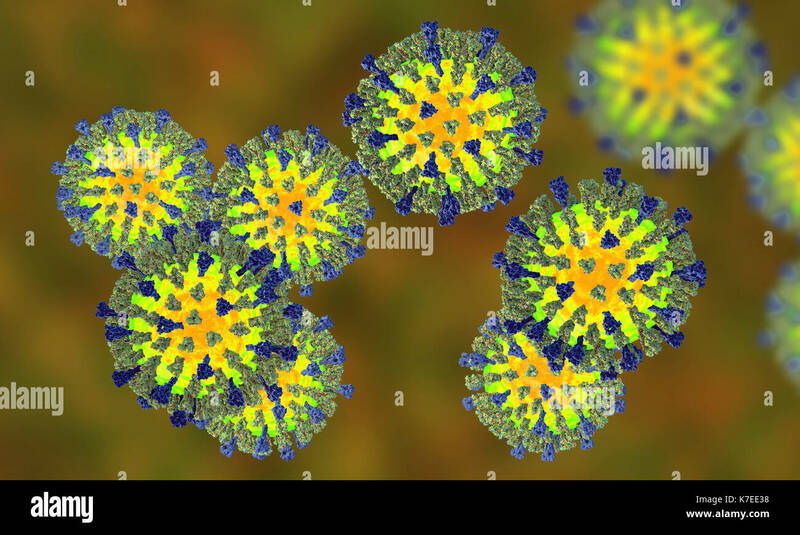 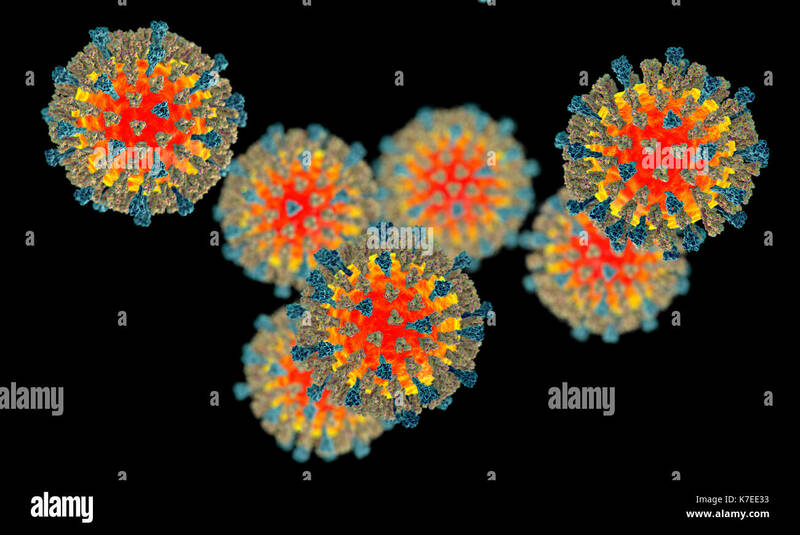 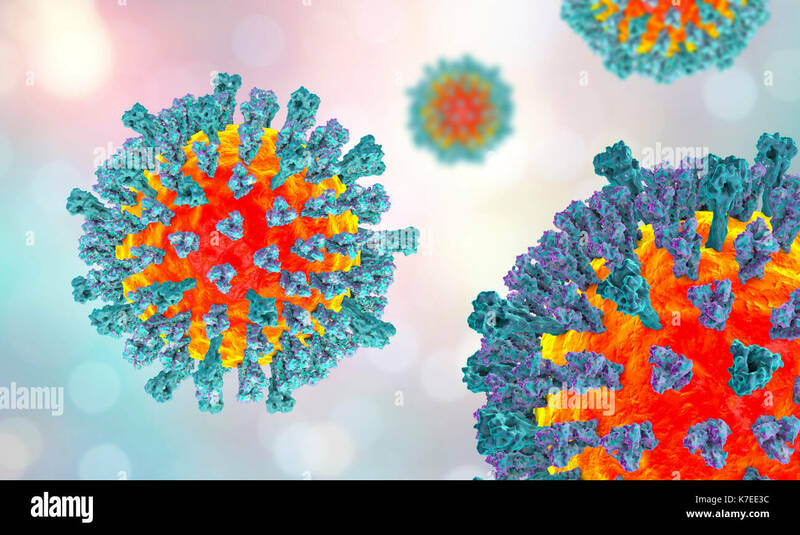 H3N2 influenza virus particles, coloured transmission electron micrograph (TEM). 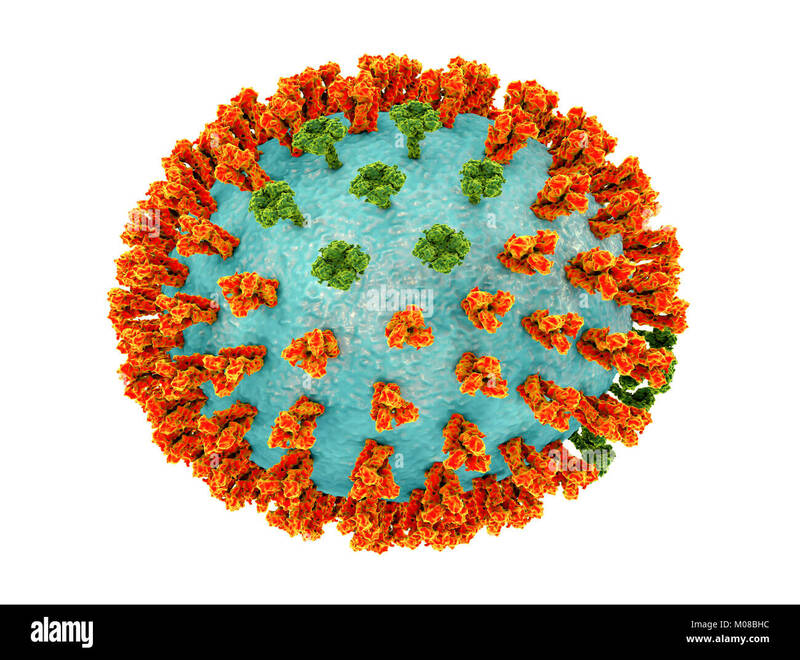 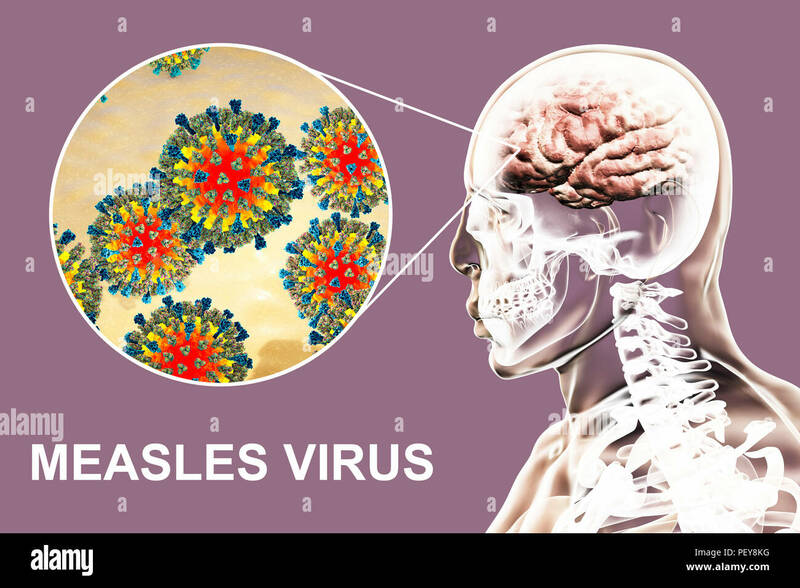 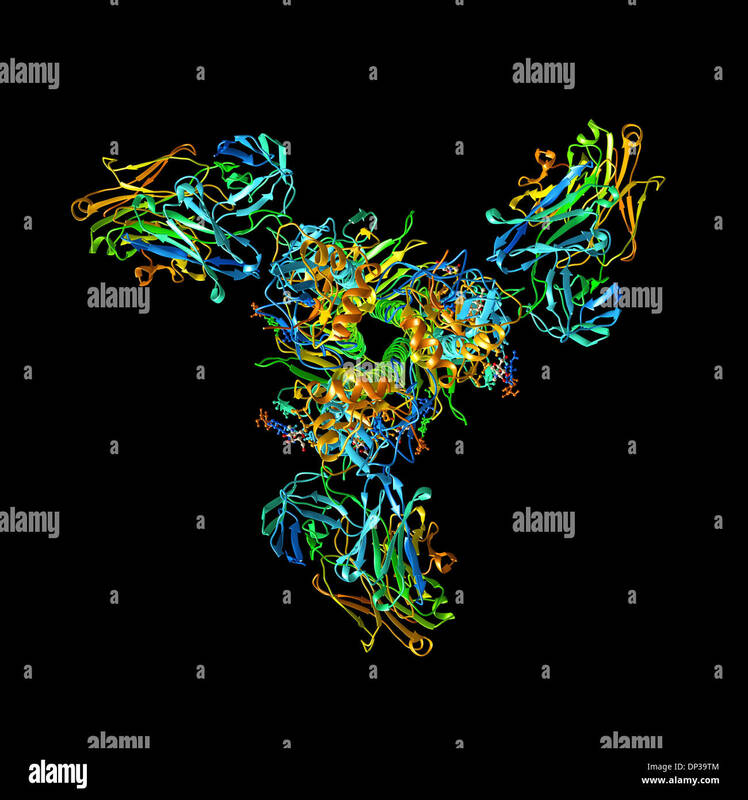 Each virus consists of a nucleocapsid (protein coat) that surrounds a core of RNA (ribonucleic acid) genetic material. 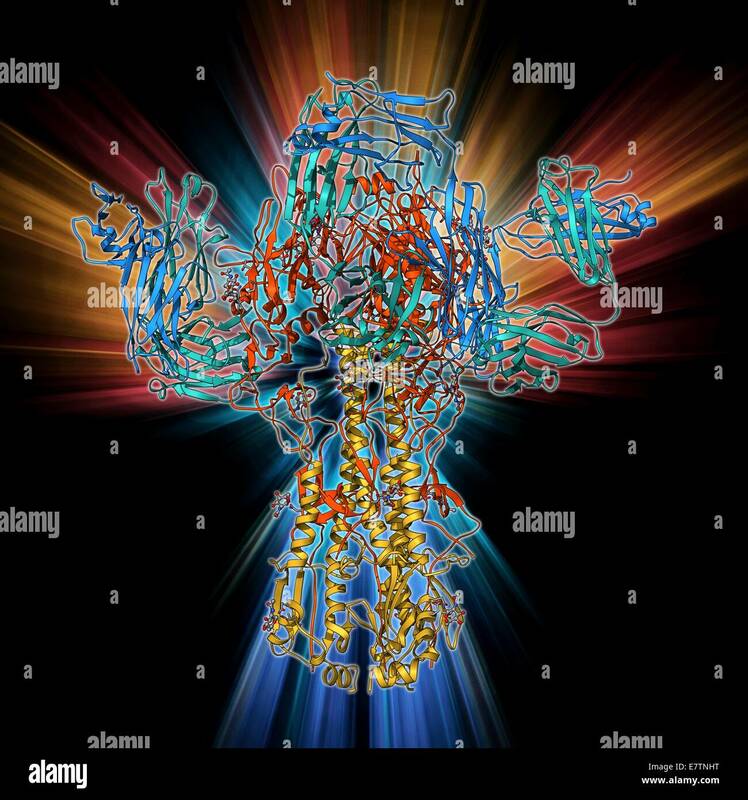 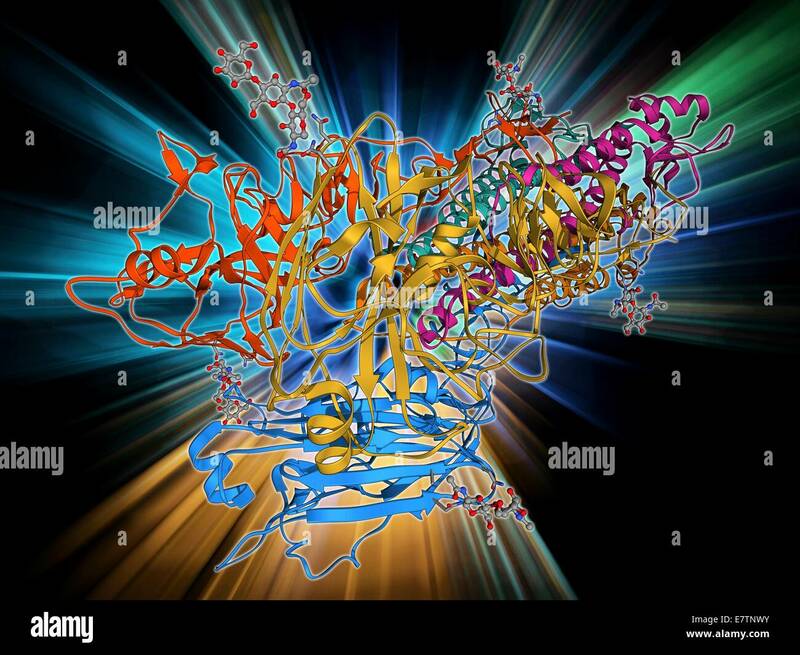 Surrounding the nucleocapsid is a lipid envelope that contains the glycoprotein spikes haemagglutinin (H) and neuraminidase (N). 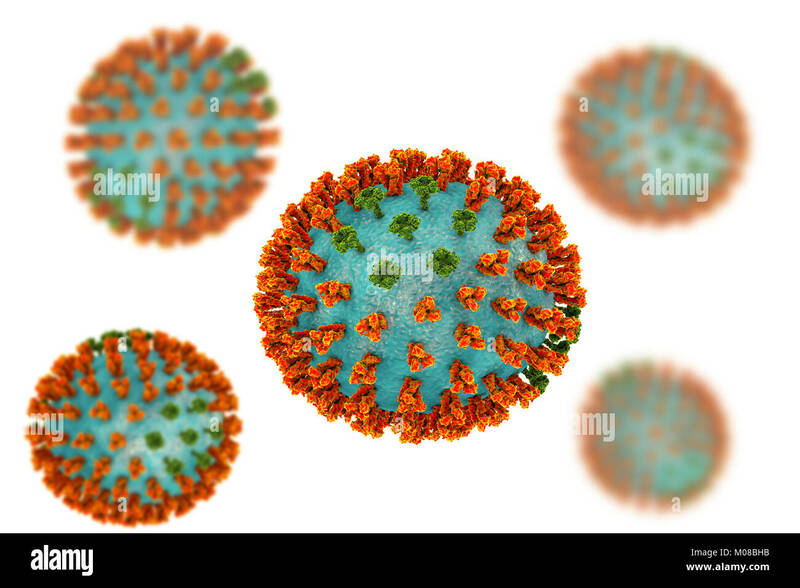 These viruses were part of the Hong Kong Flu pandemic of 1968-1969 that killed approximately one million worldwide. 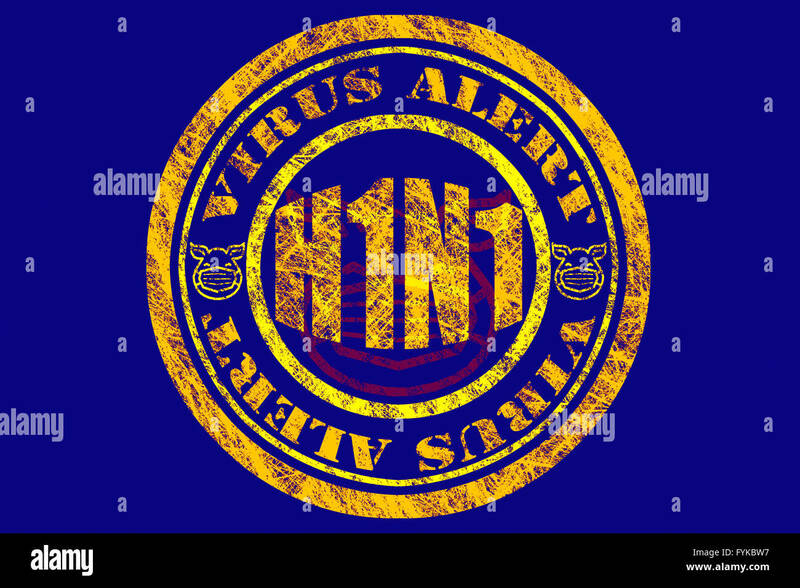 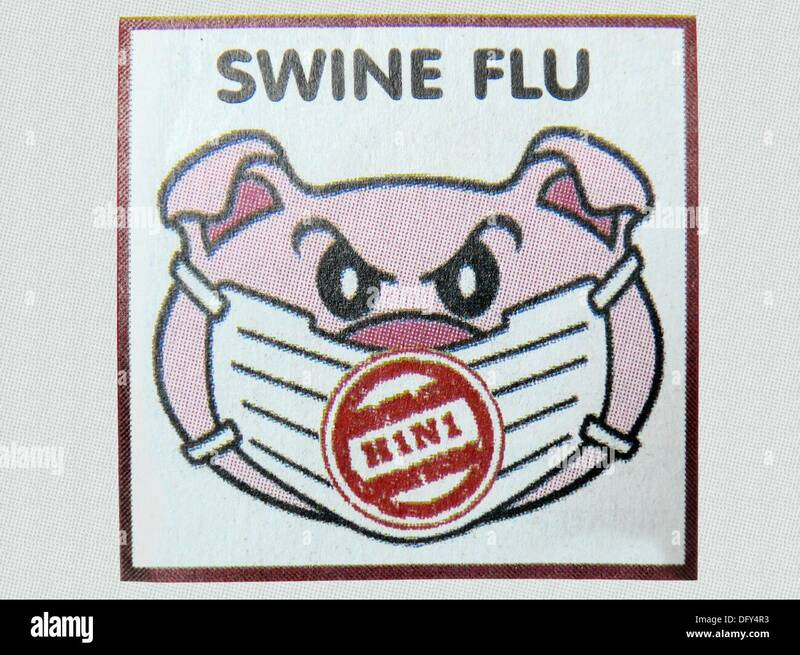 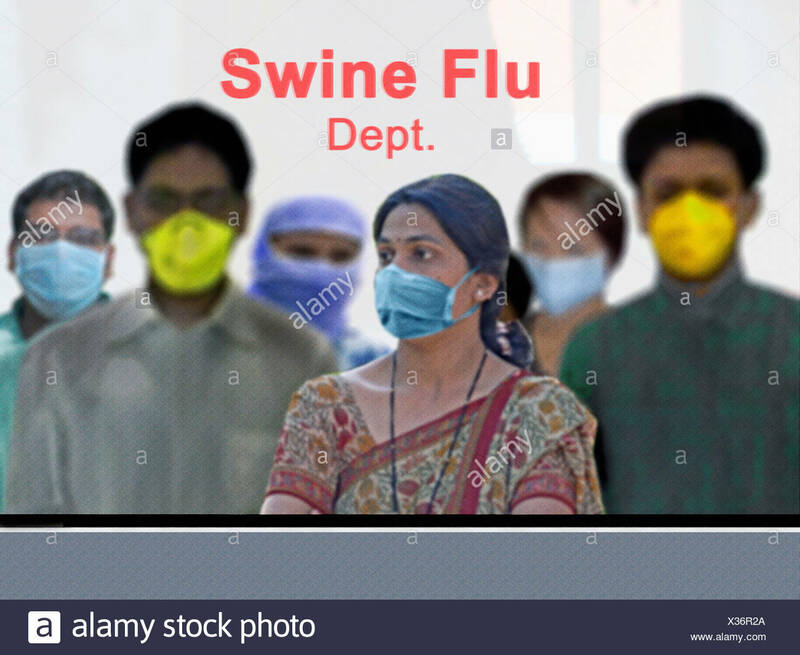 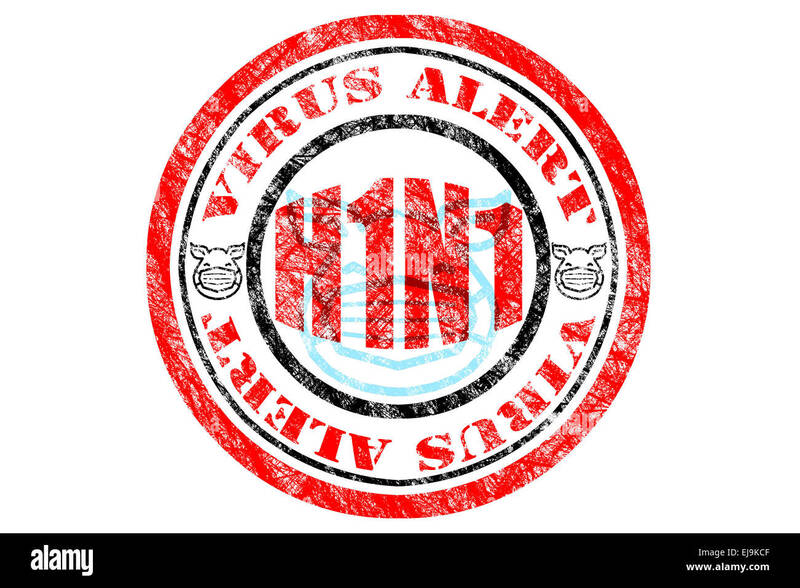 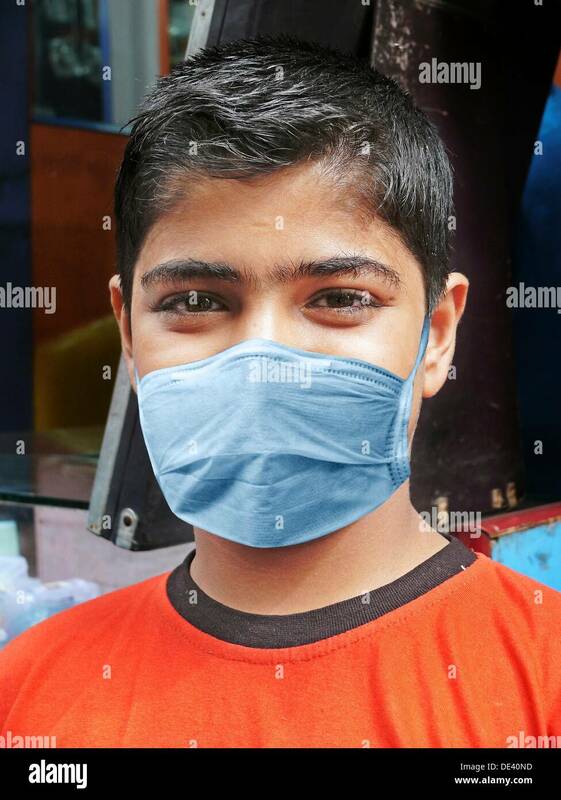 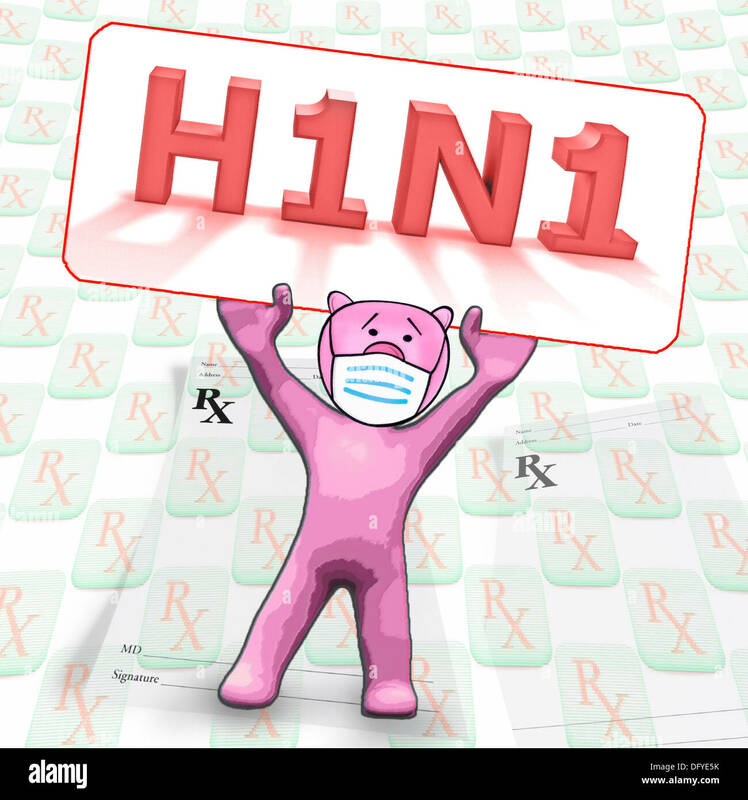 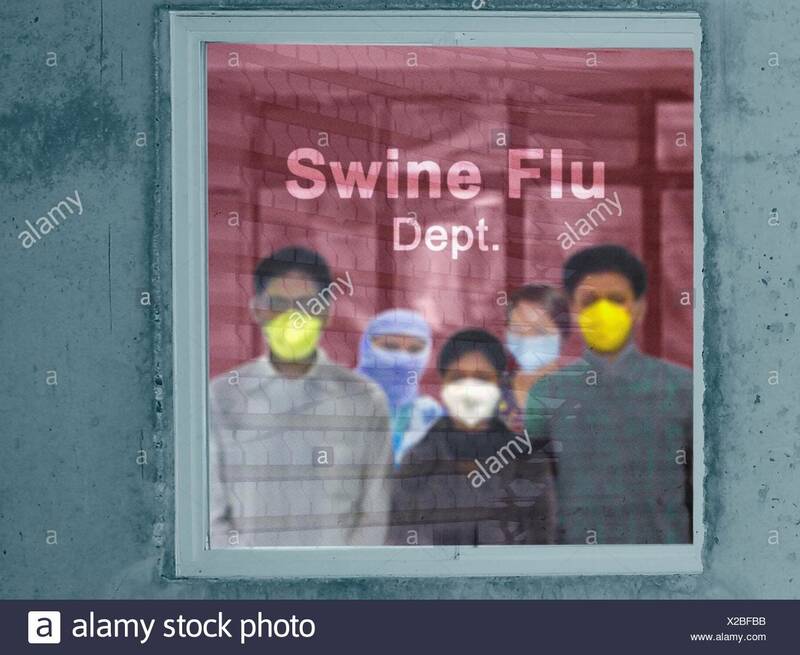 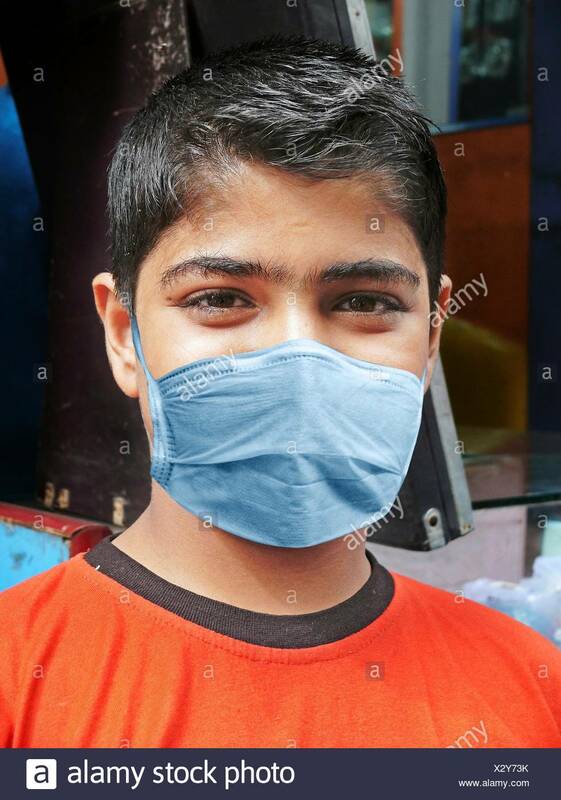 H3N2 viruses are able to infect birds and mammals as well as humans. 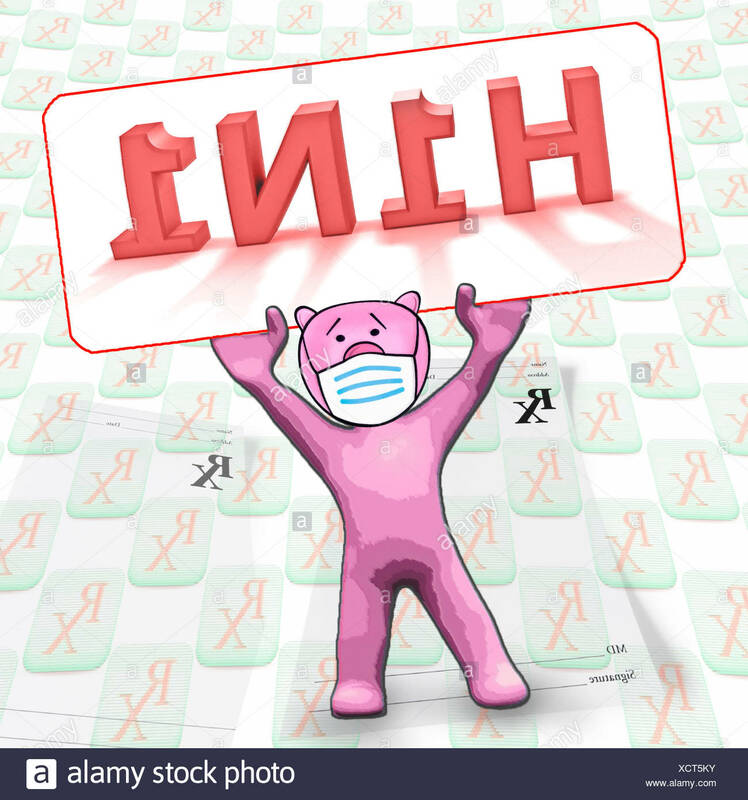 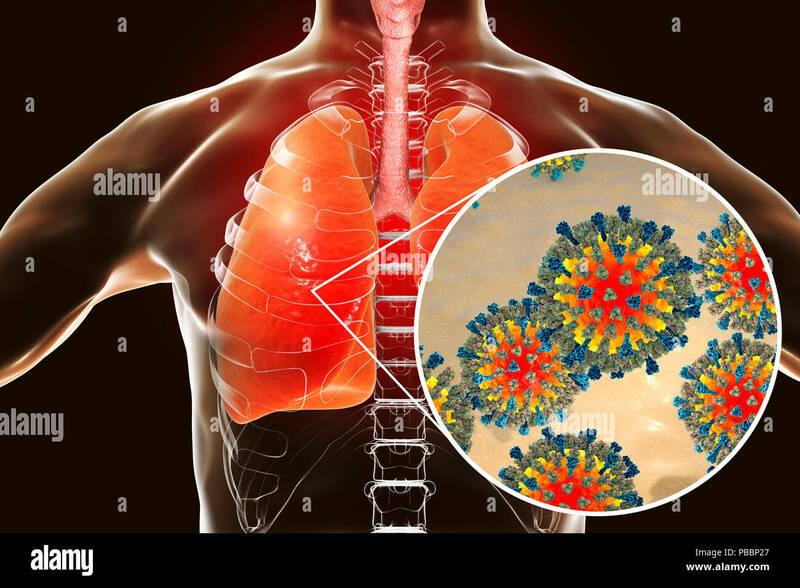 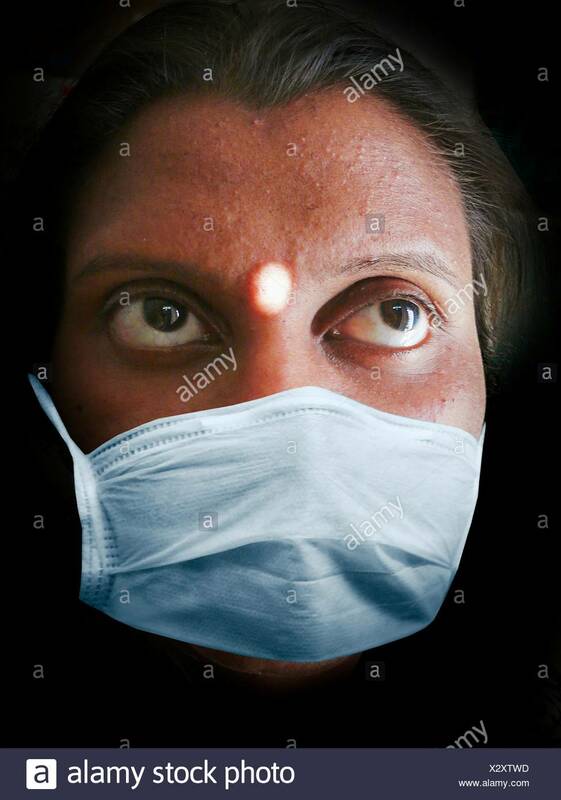 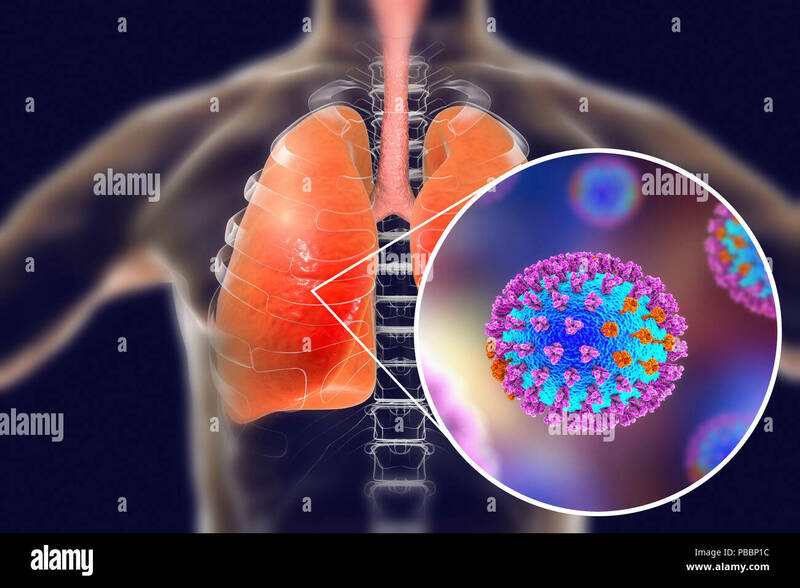 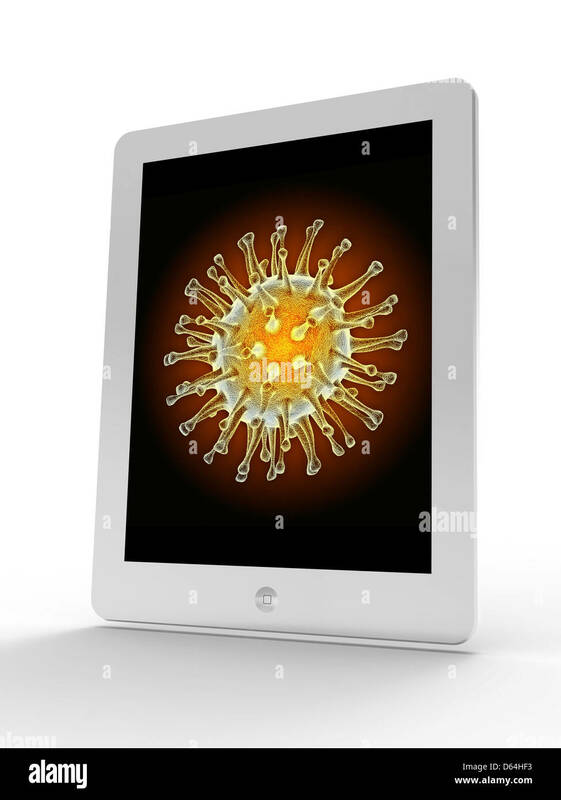 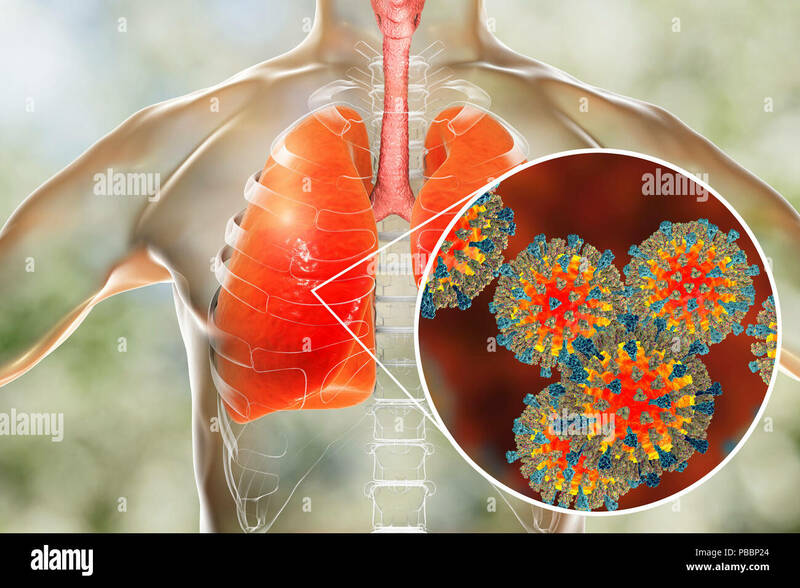 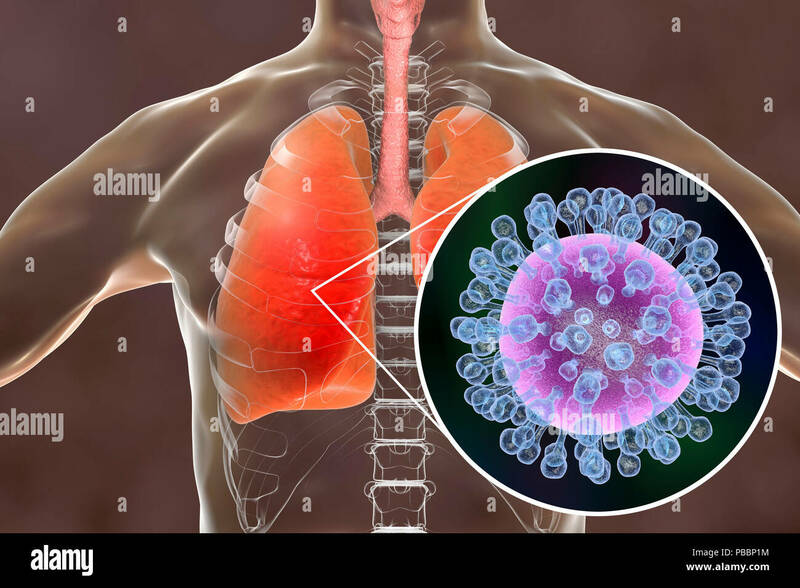 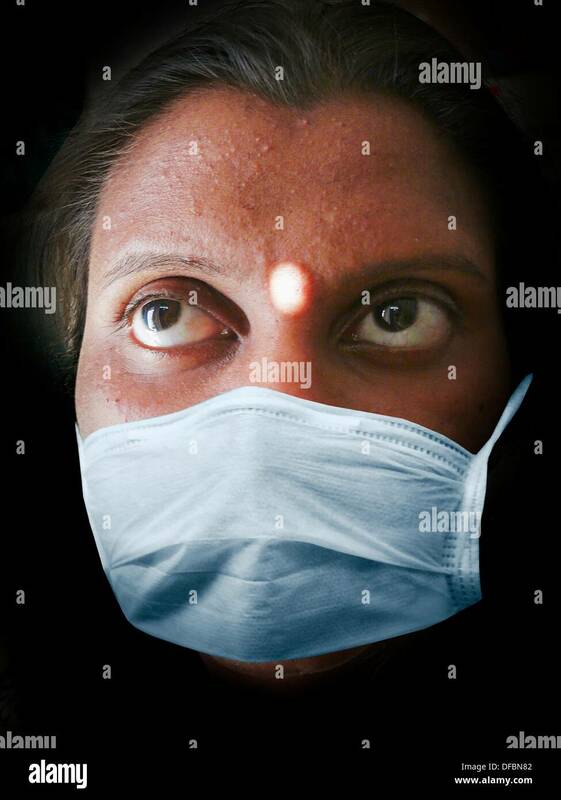 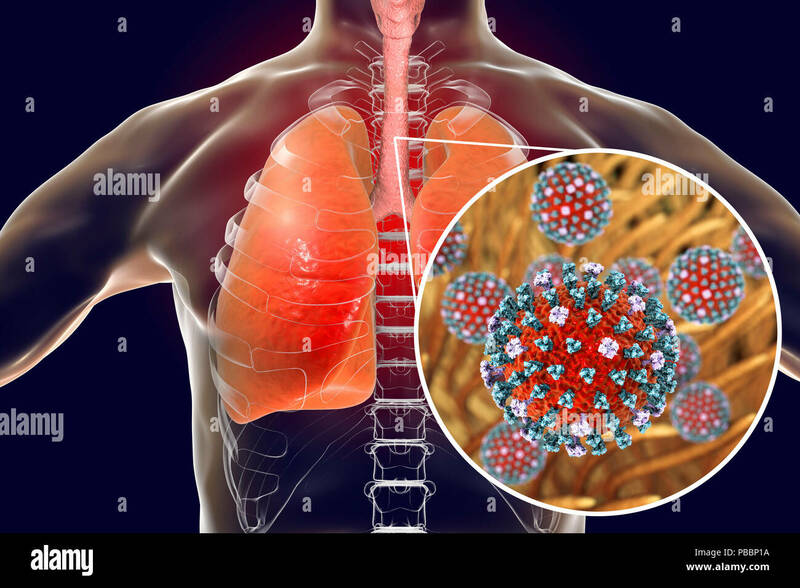 Pneumonia caused by flu, computer illustration. 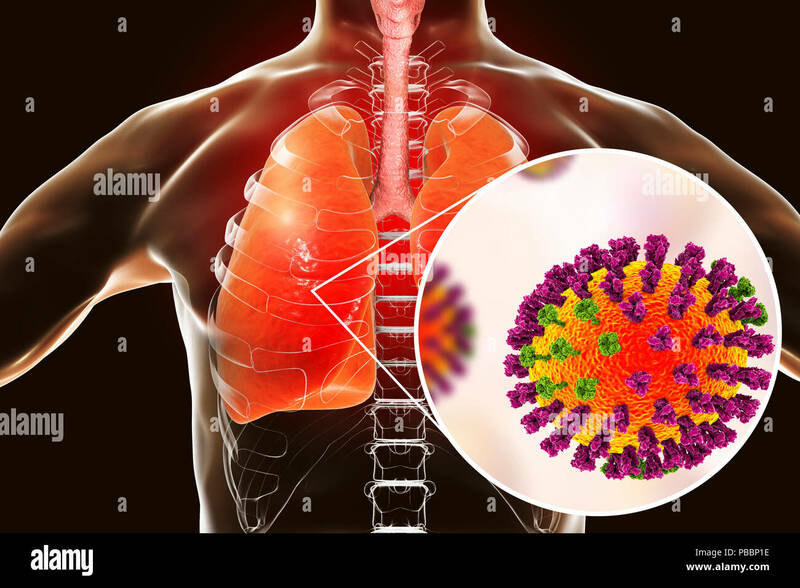 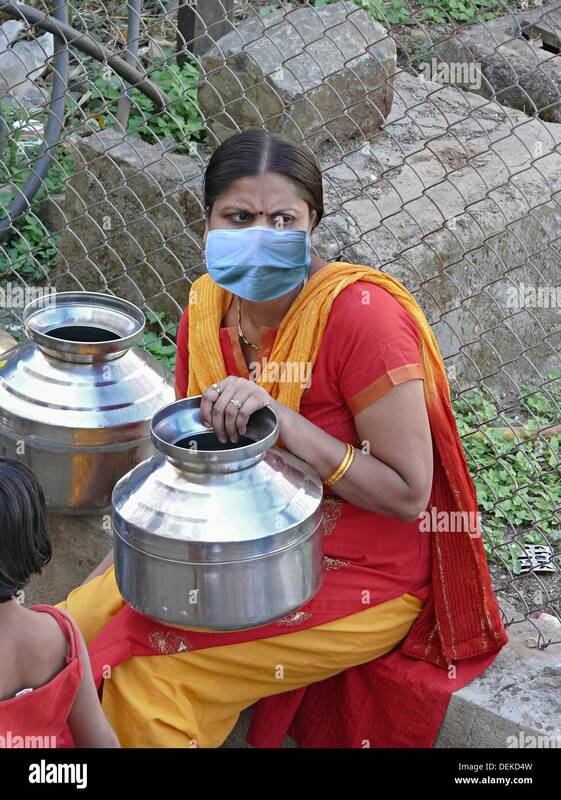 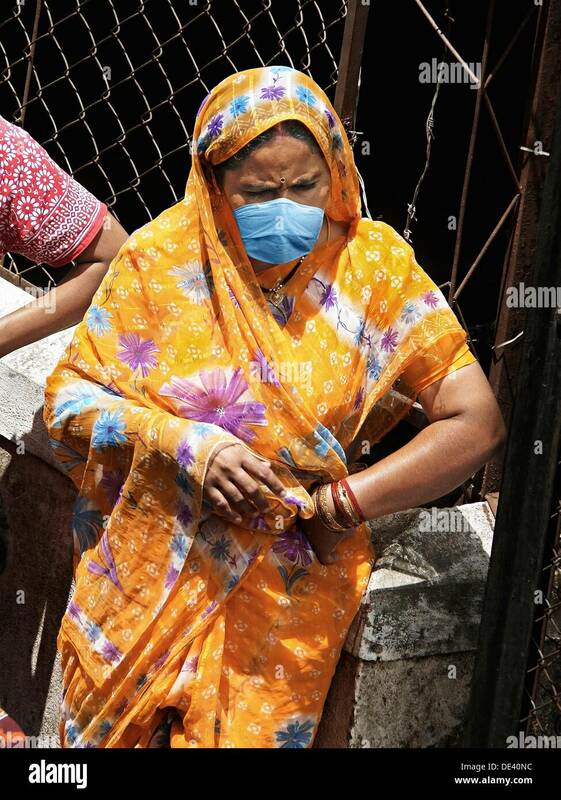 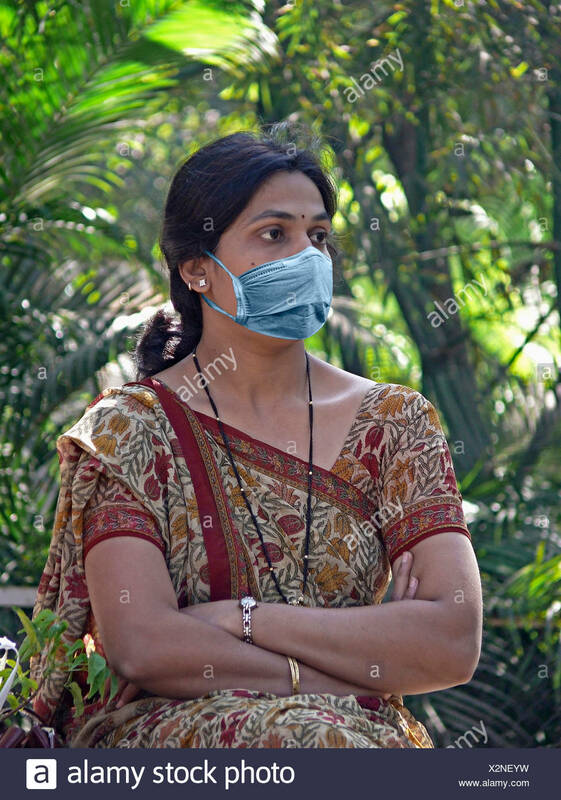 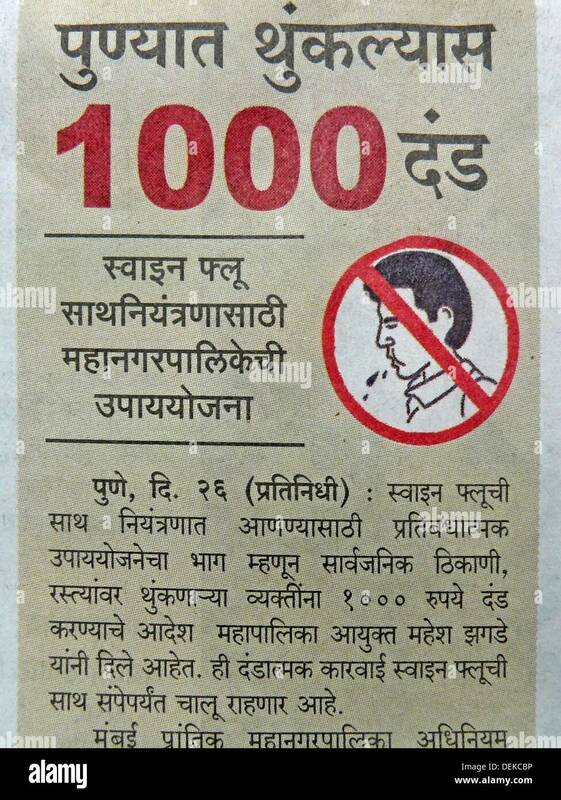 Pneumonia is one of the common complications of a flu infection.